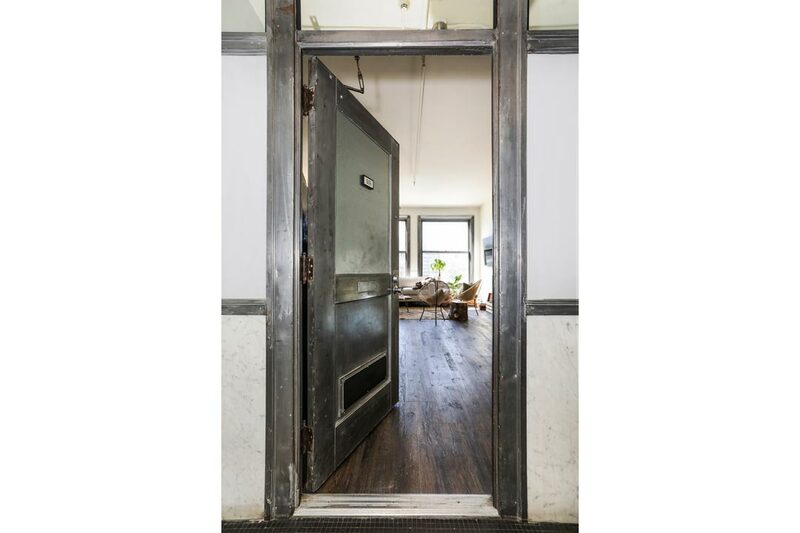 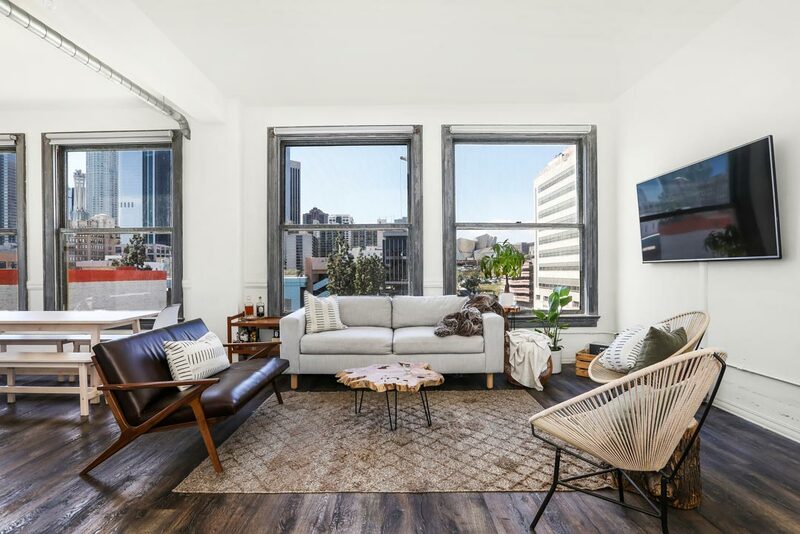 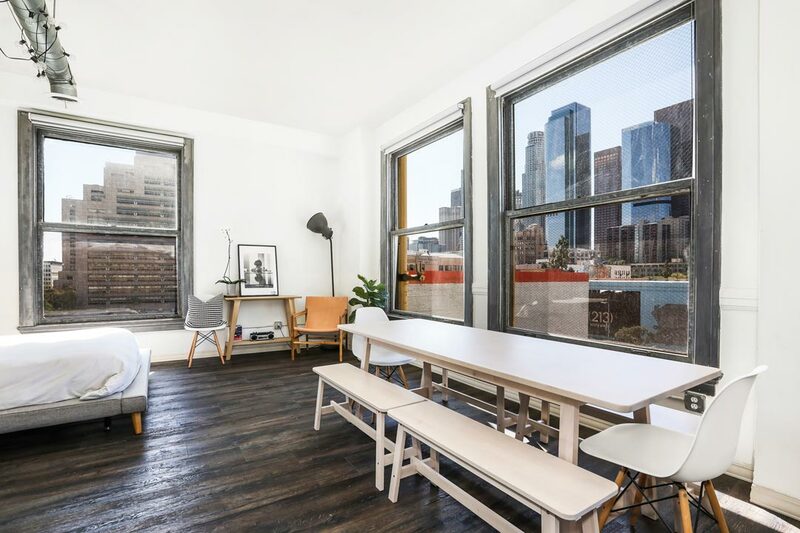 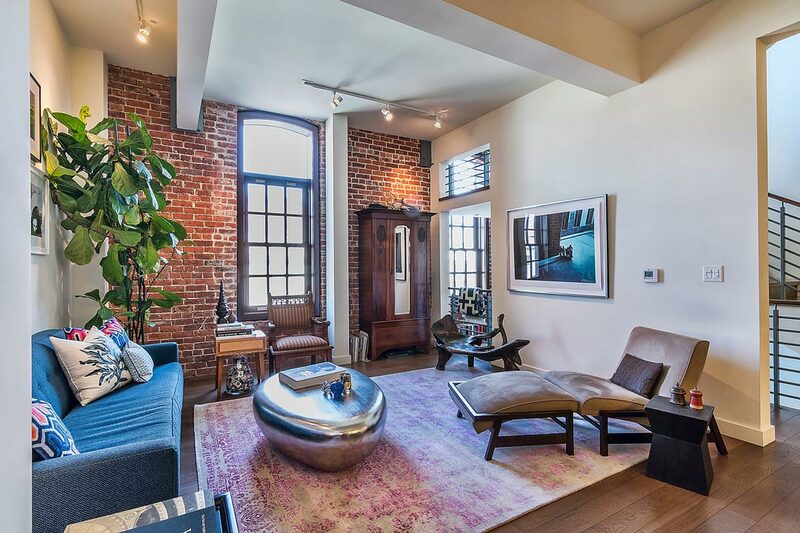 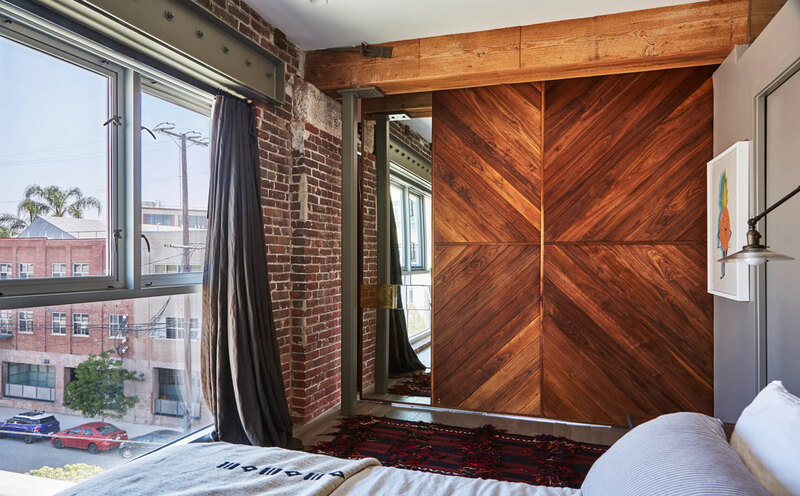 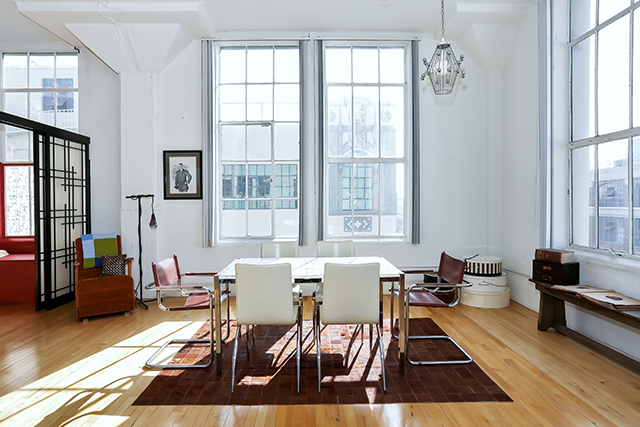 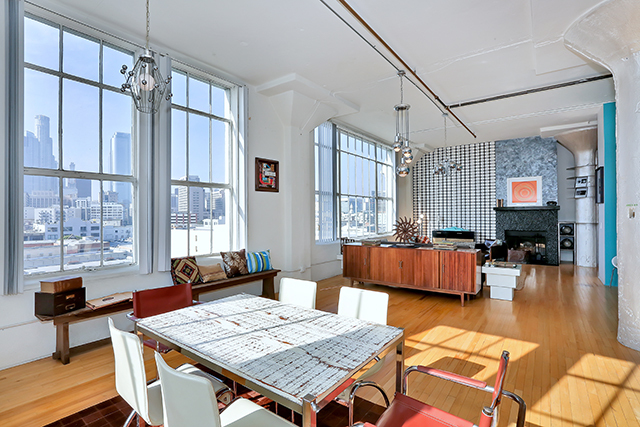 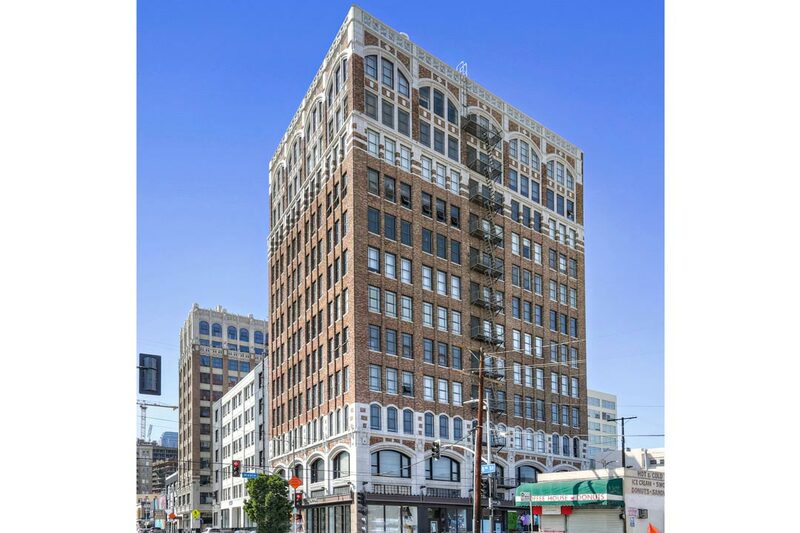 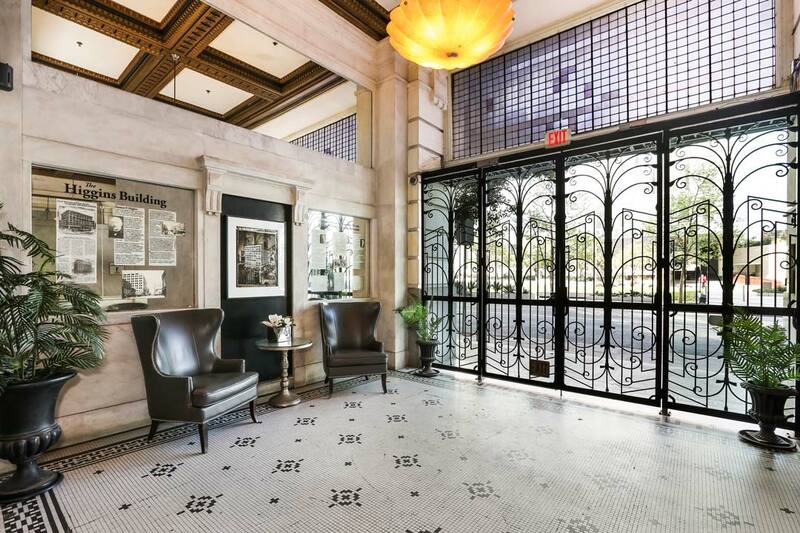 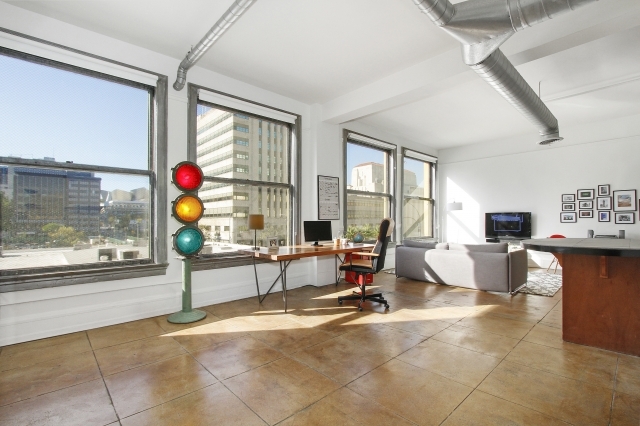 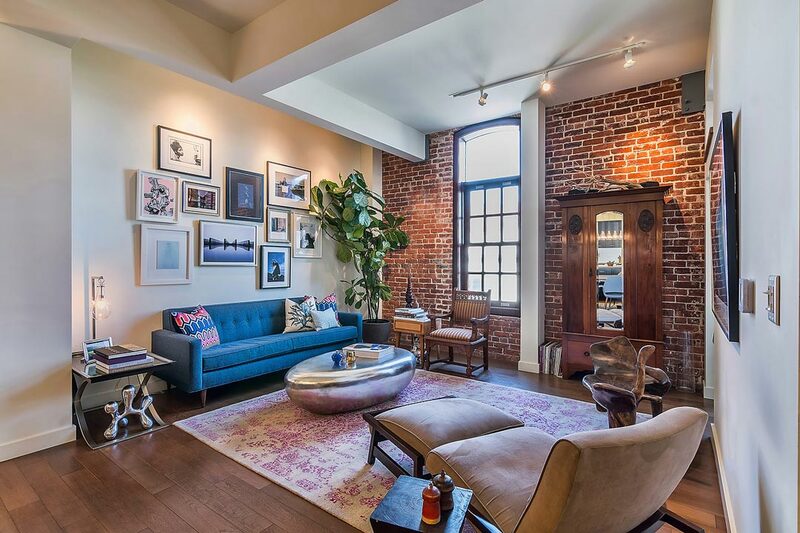 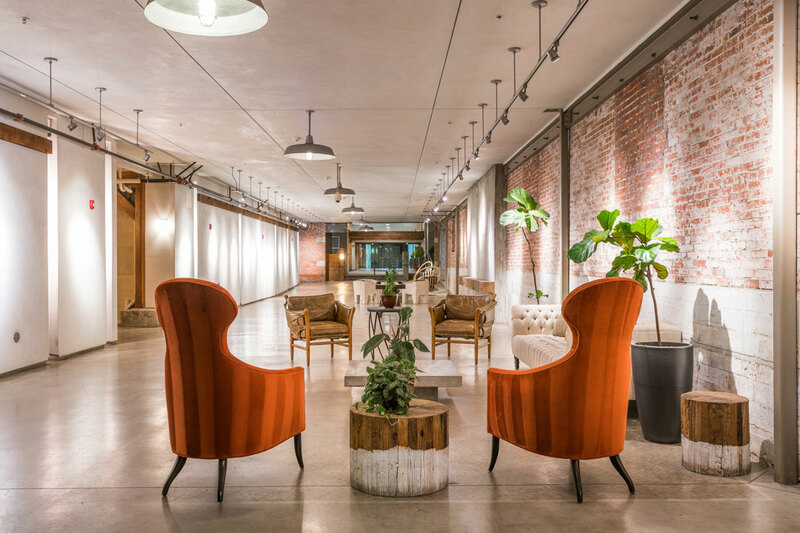 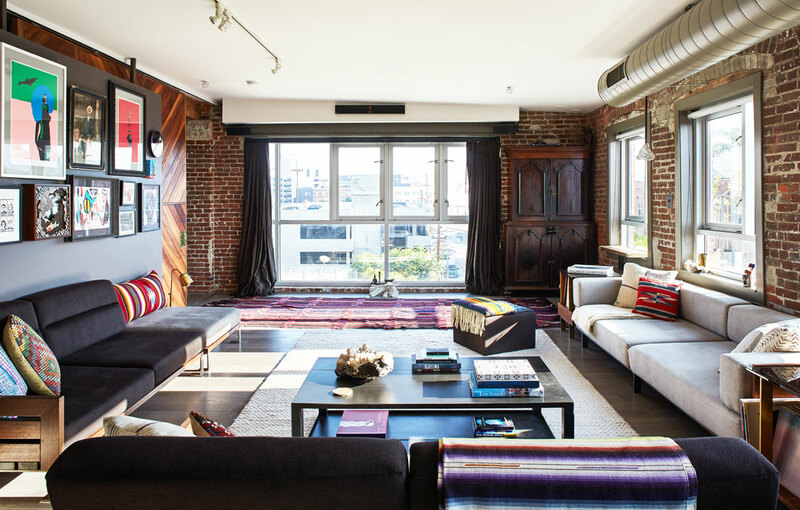 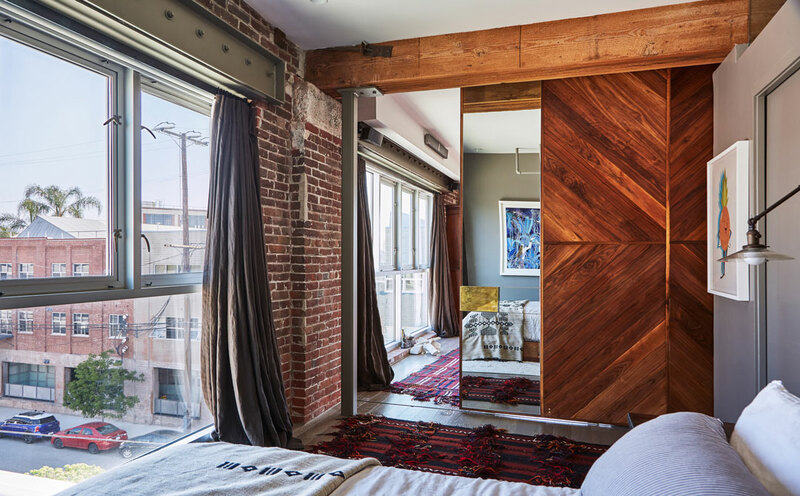 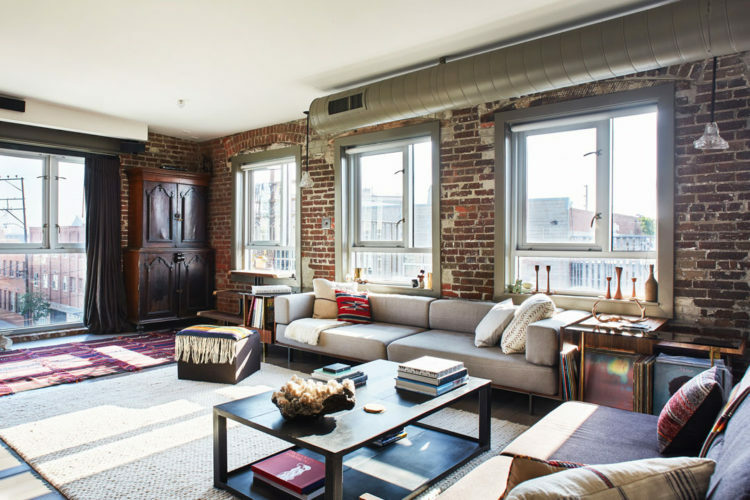 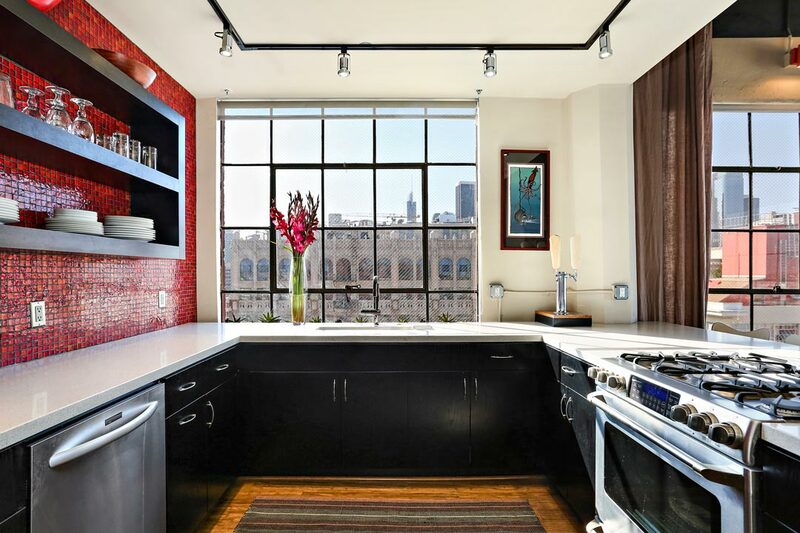 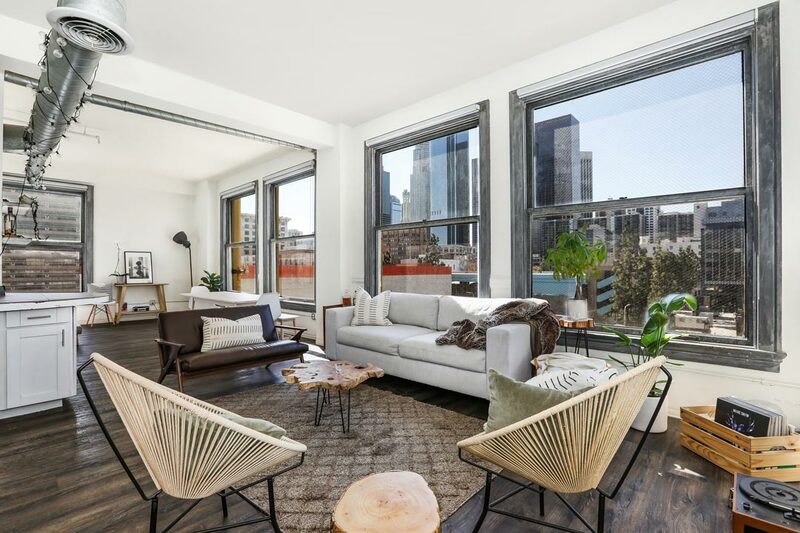 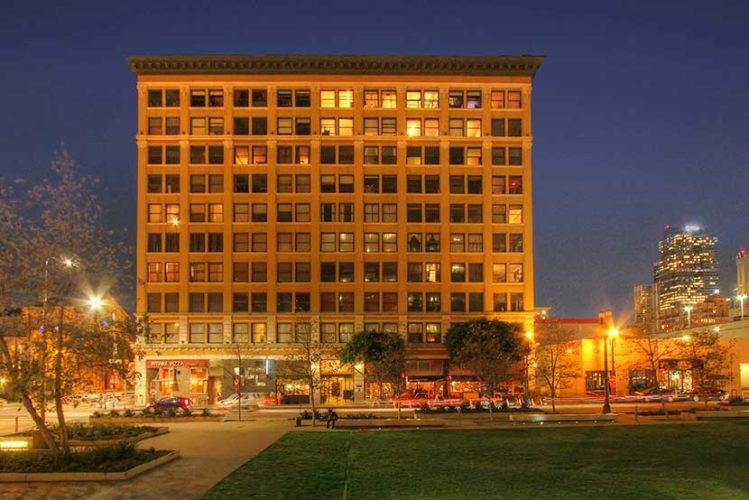 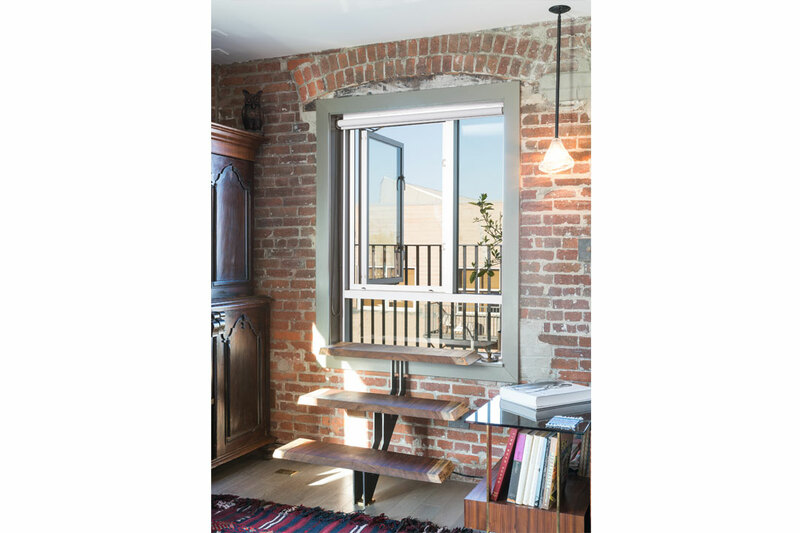 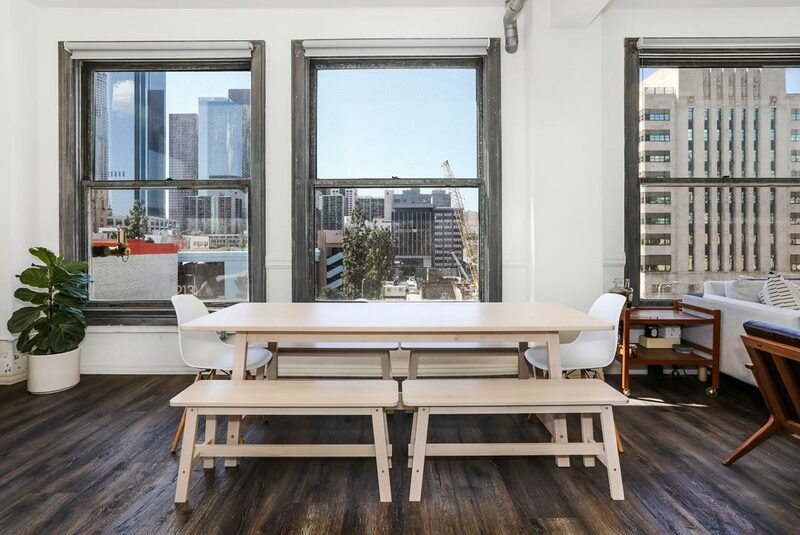 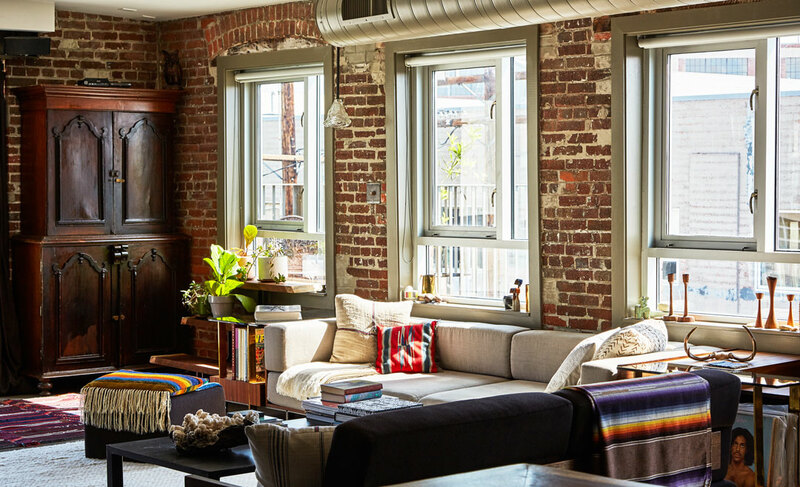 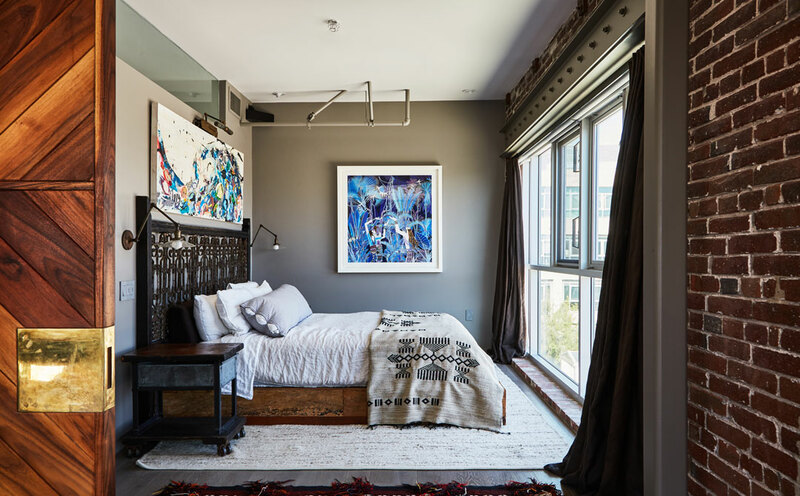 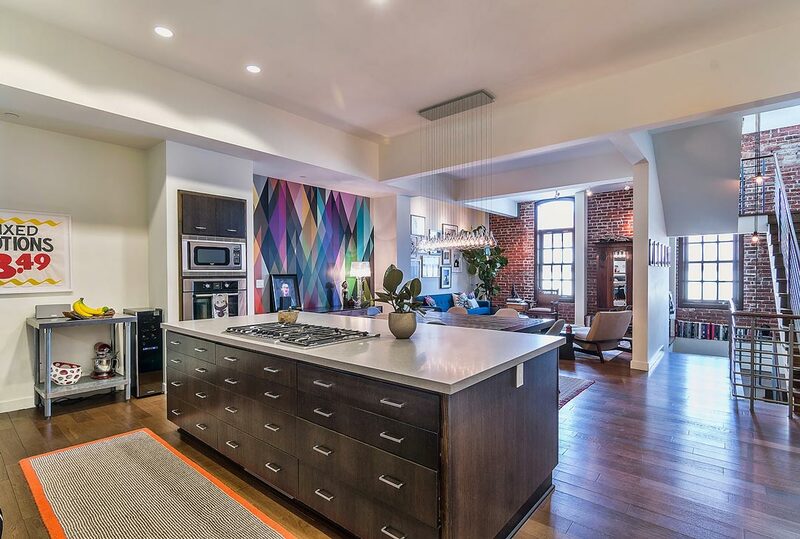 A stunning corner-unit penthouse in The Textile Building, a nationally recognized Historic Cultural Monument and prize of Downtown LA. 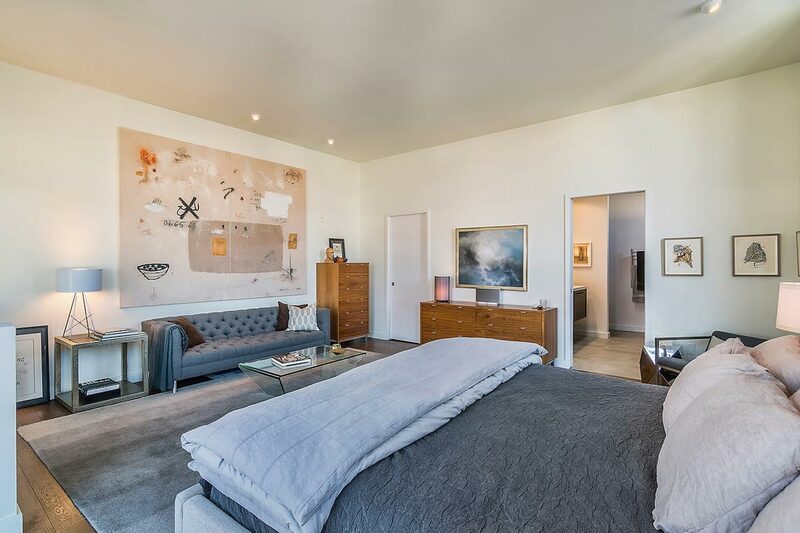 The luxurious condominium home features walls of oversized windows framing breathtaking views of the city and mountains beyond. 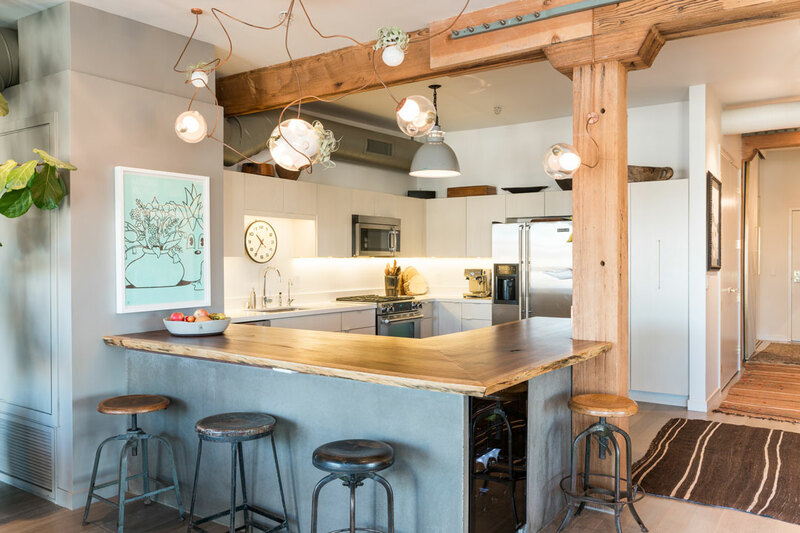 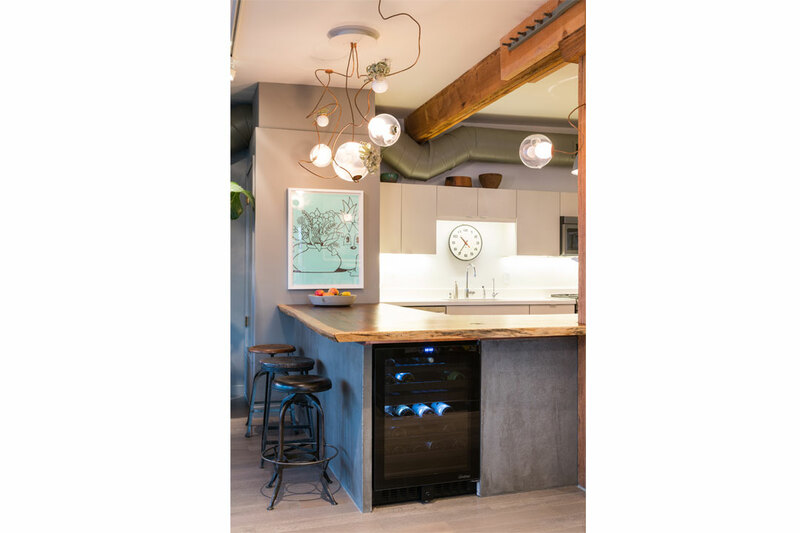 Among stylish design elements are high ceilings, skylights, built-ins, a sunken living room and floors of polished concrete and bamboo. 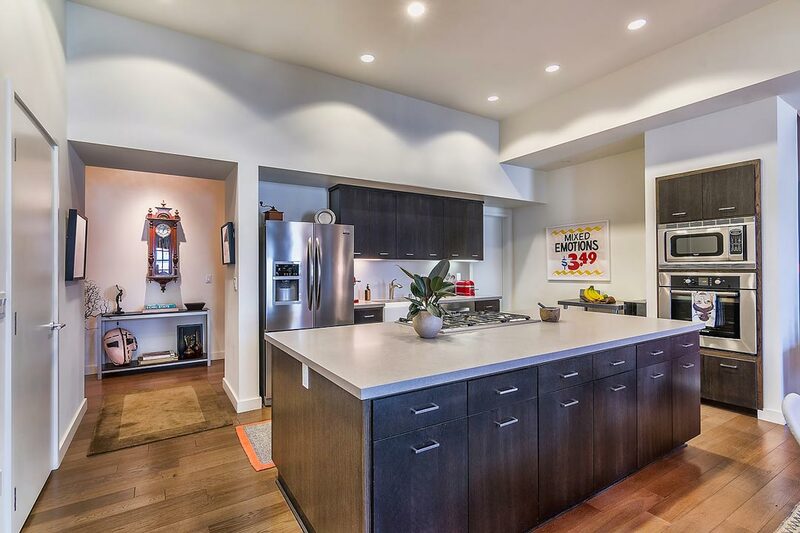 In the updated kitchen find a full-wall tile backsplash, stainless appliances, dining counter and vistas that elevate every meal to an aesthetic experience. 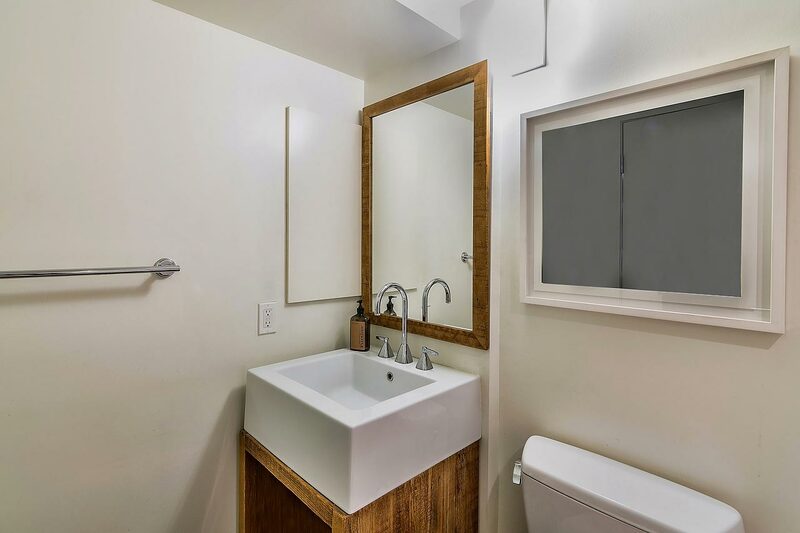 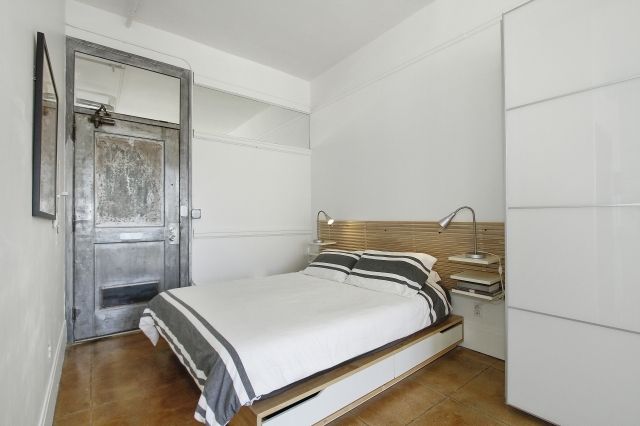 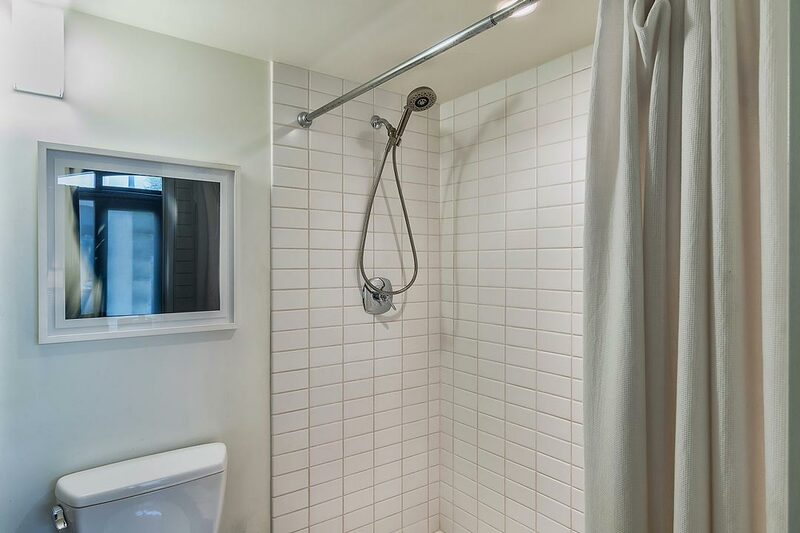 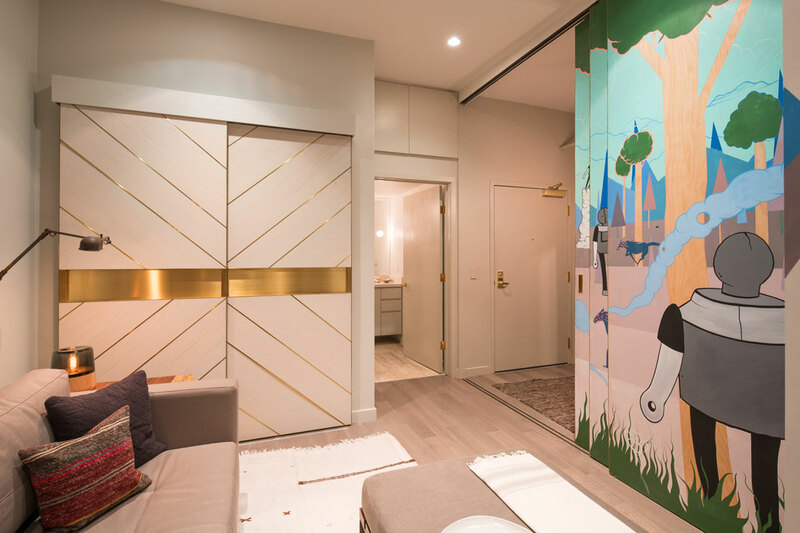 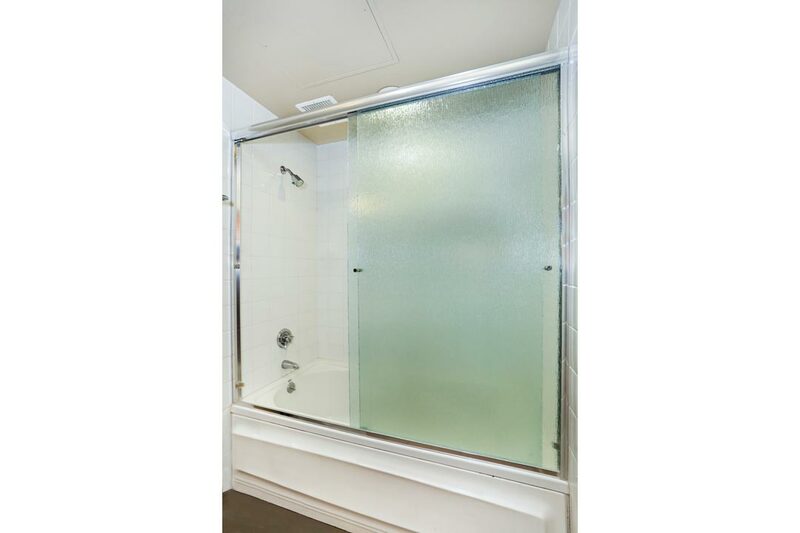 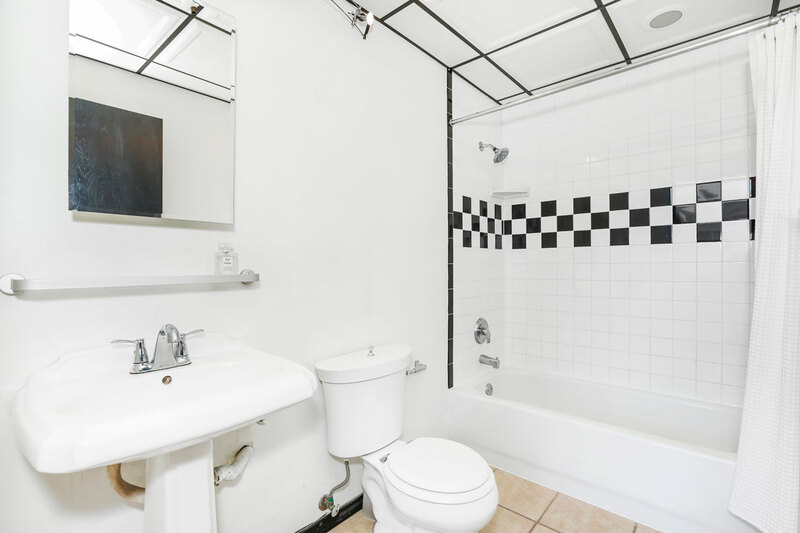 Two bedrooms include the bright Master featuring a walk-in closet and attached bathroom with separate shower and tub. 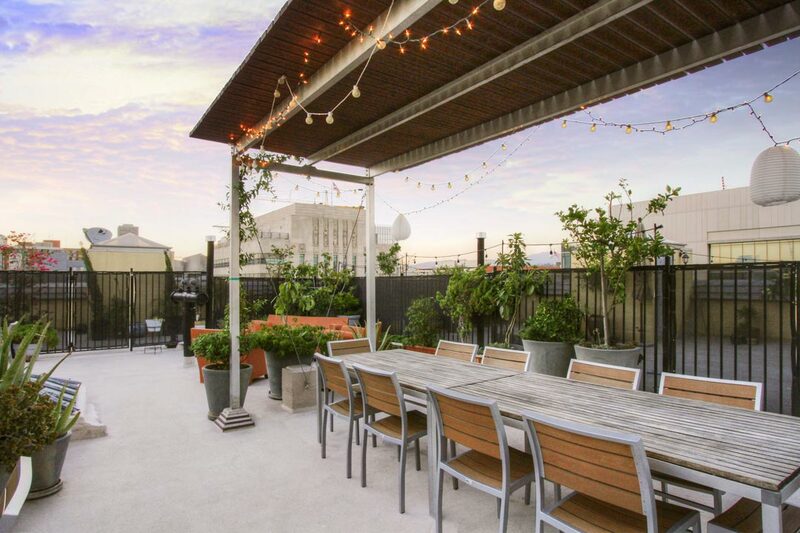 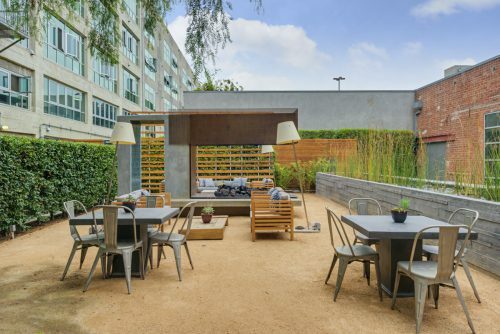 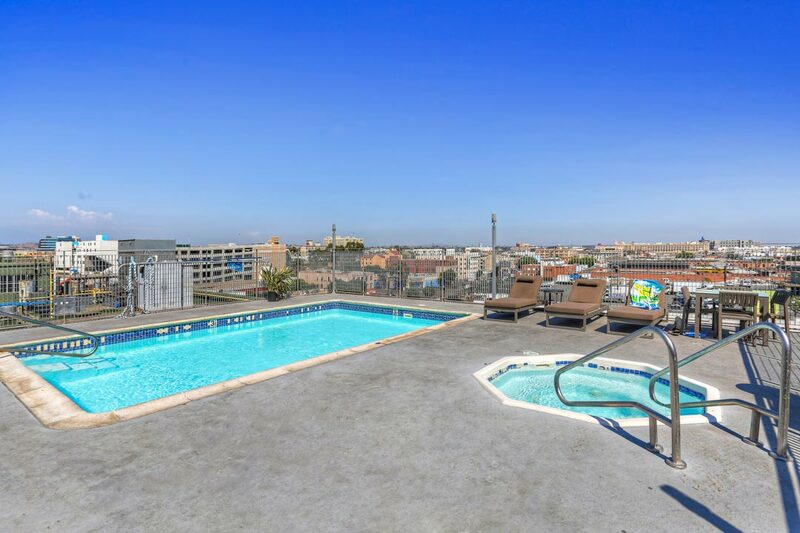 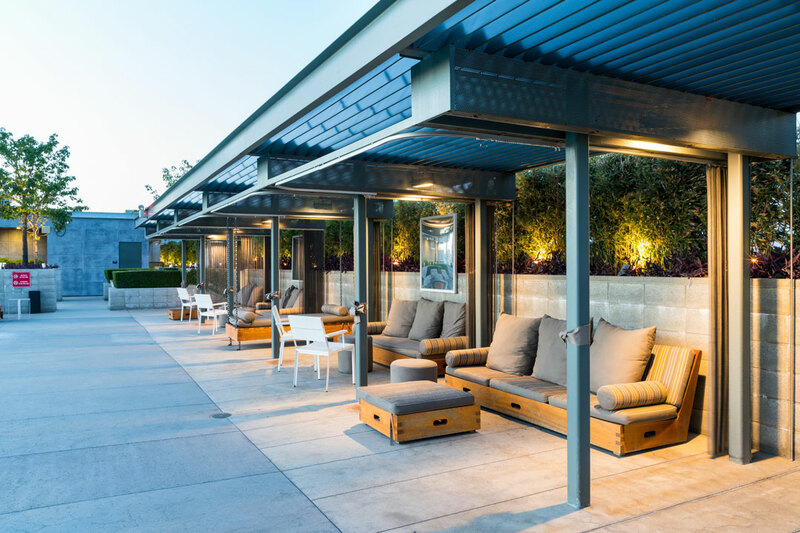 Enjoy use of the glorious rooftop deck and access to Santee Court, whose long list of amenities including a pool, spa, driving range, basketball court, fitness center and BBQ area. 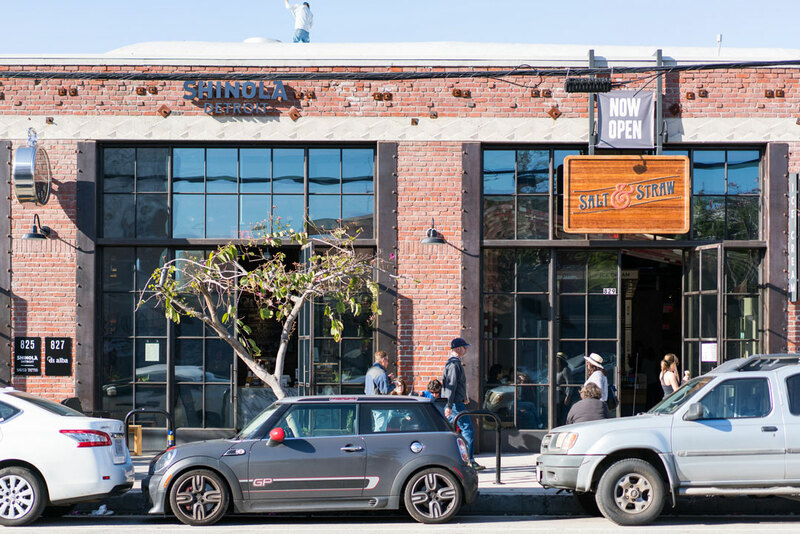 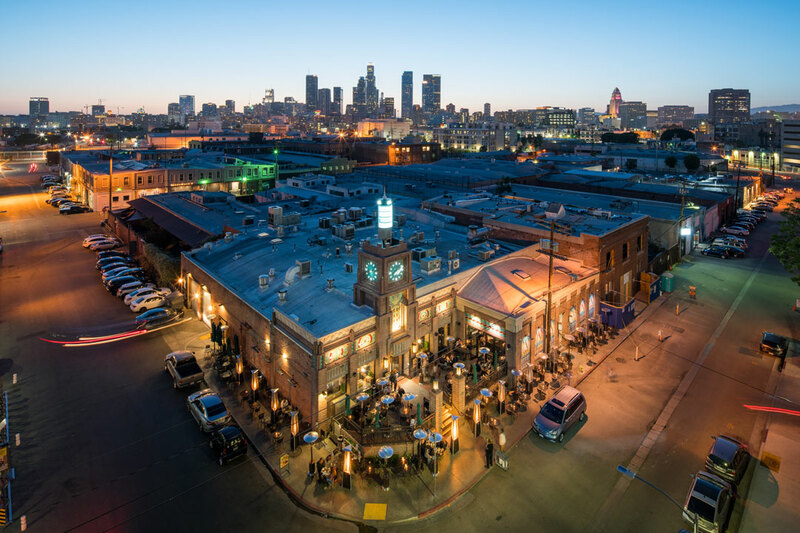 You’re in the center of the action near Terroni, Verve Coffee, the Ace Hotel and more. 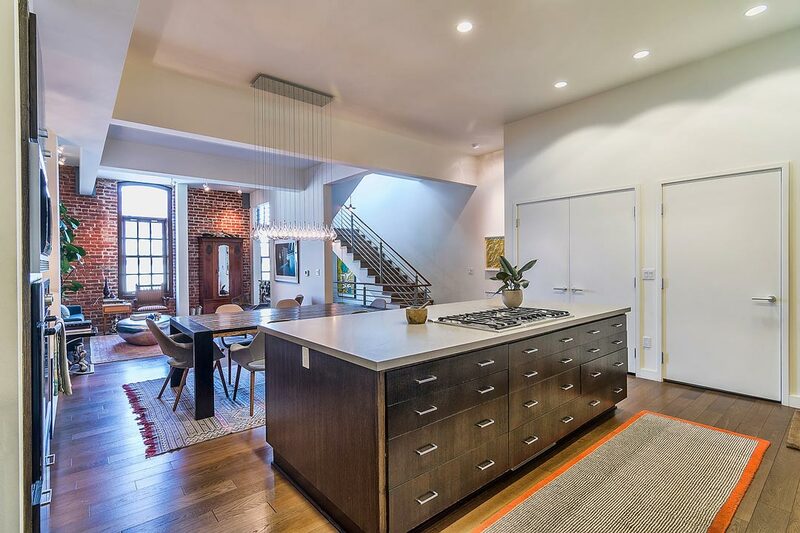 This historic residence benefits from Mill Act tax relief. 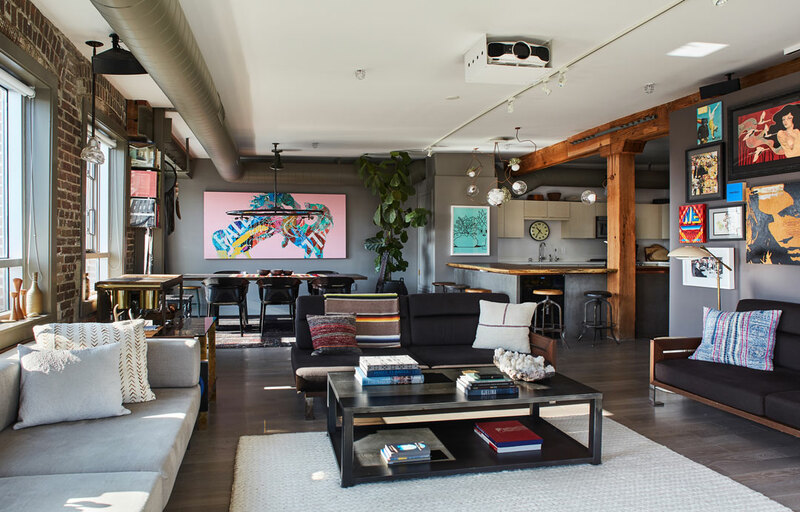 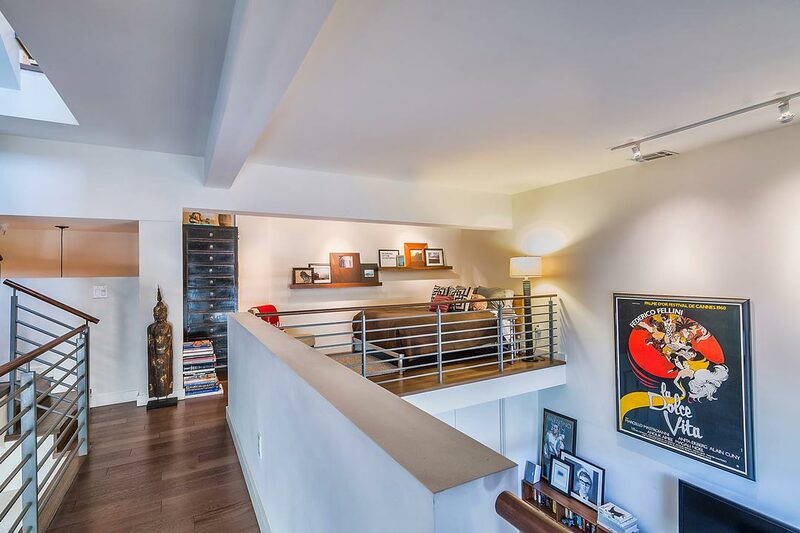 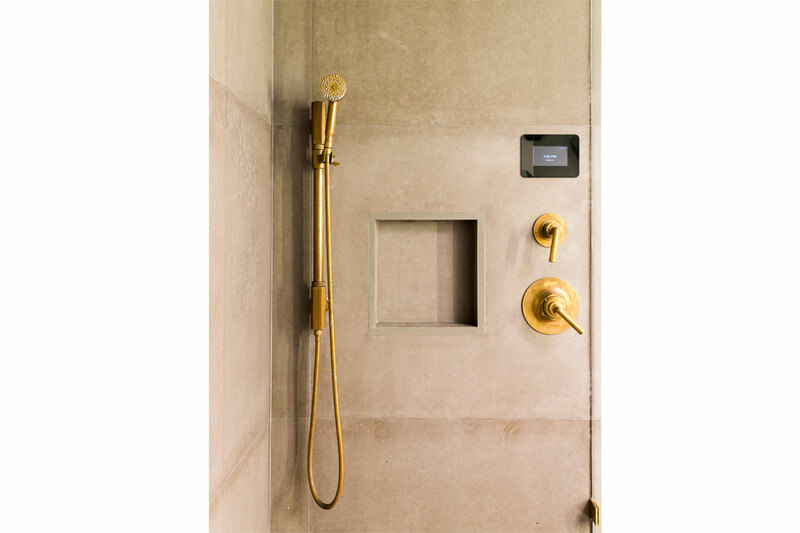 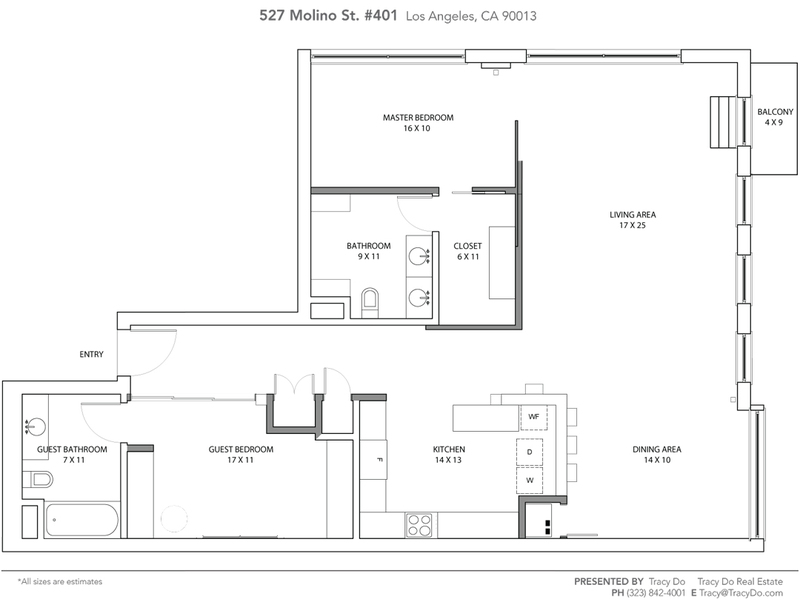 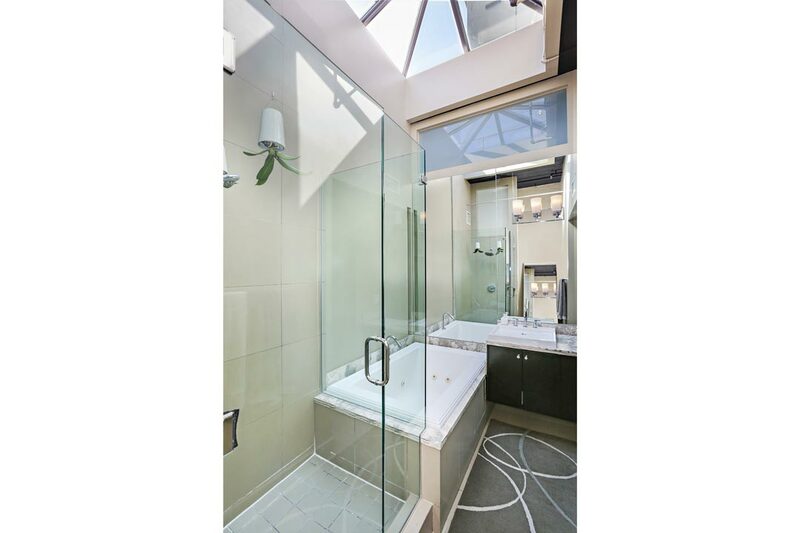 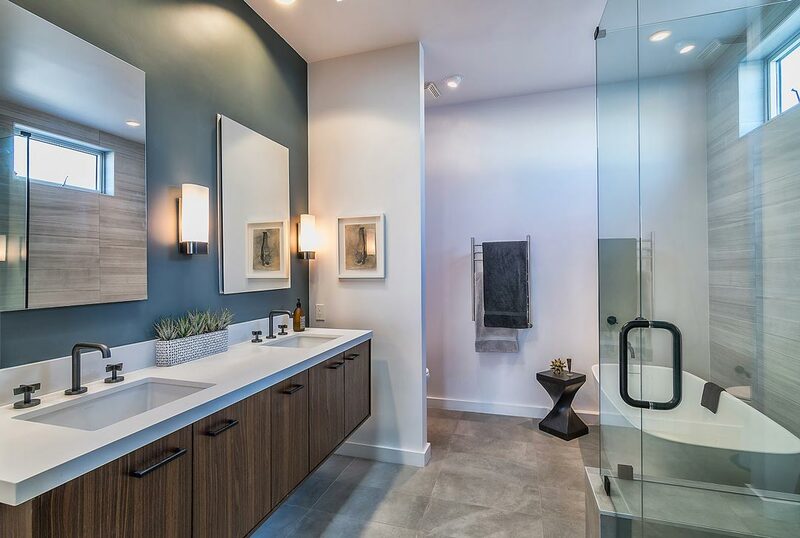 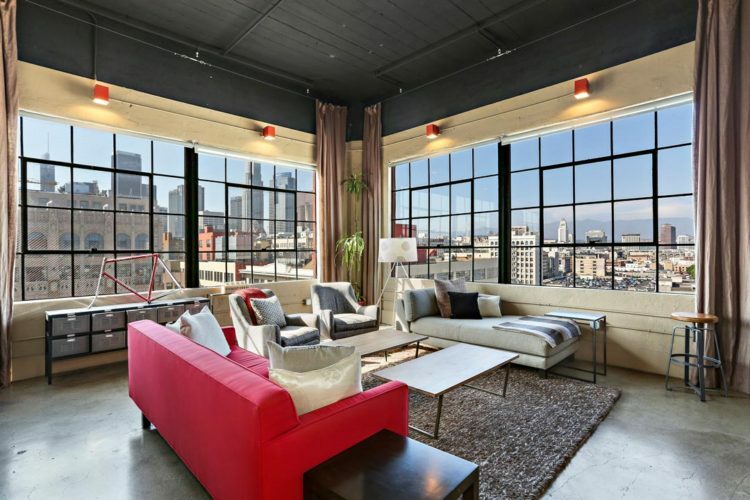 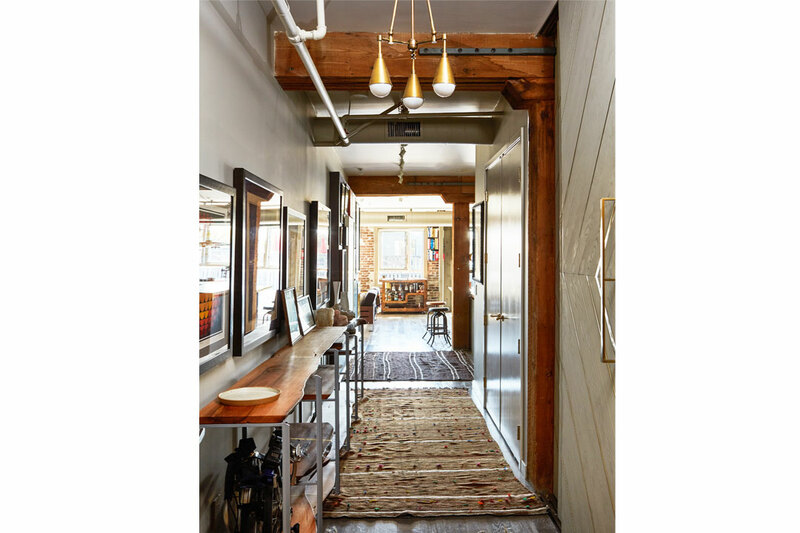 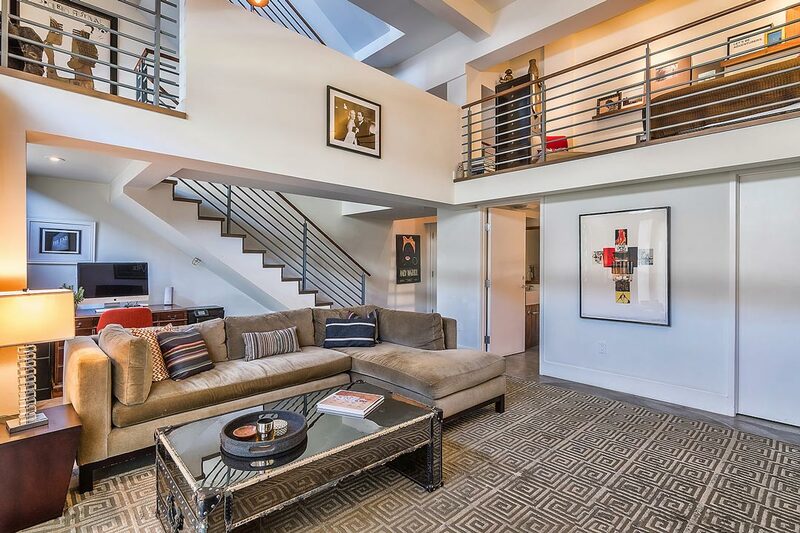 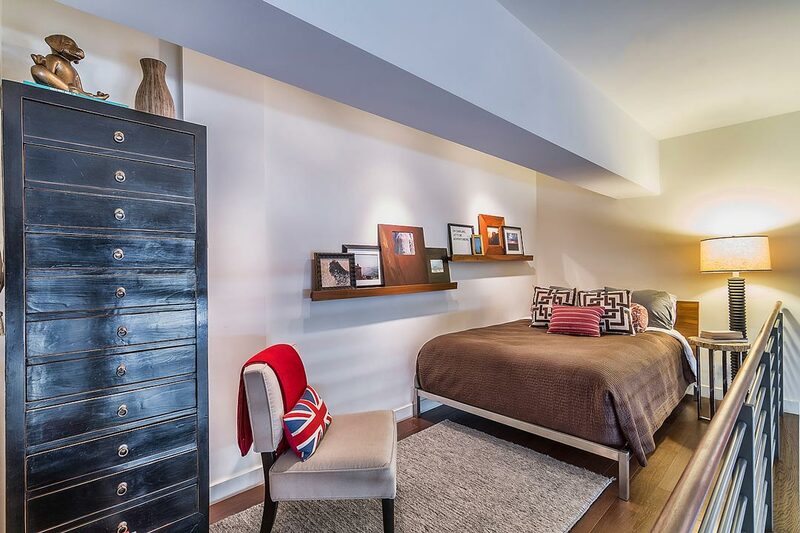 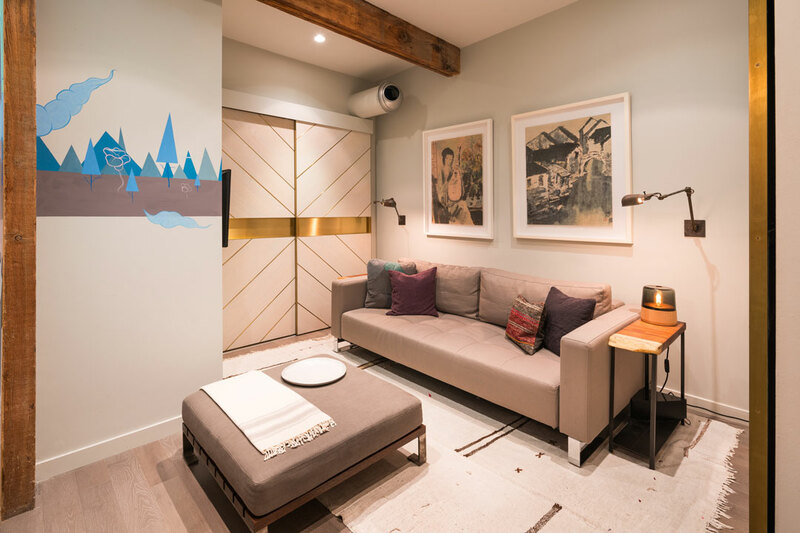 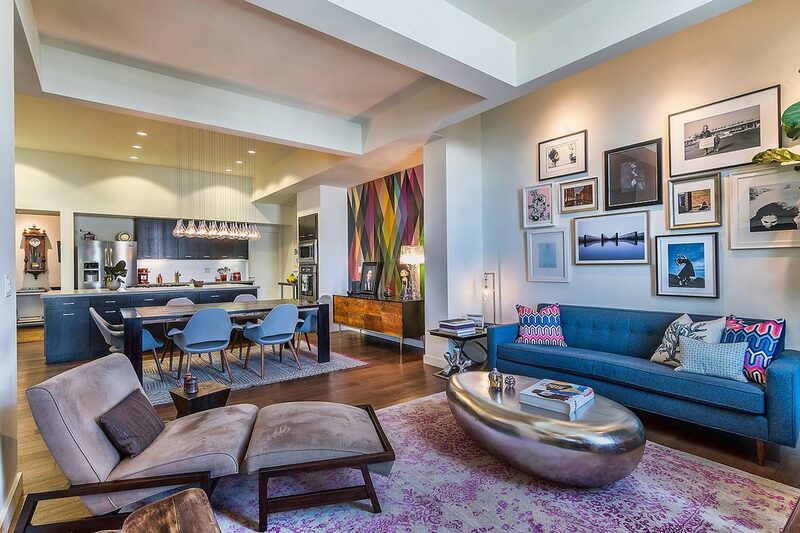 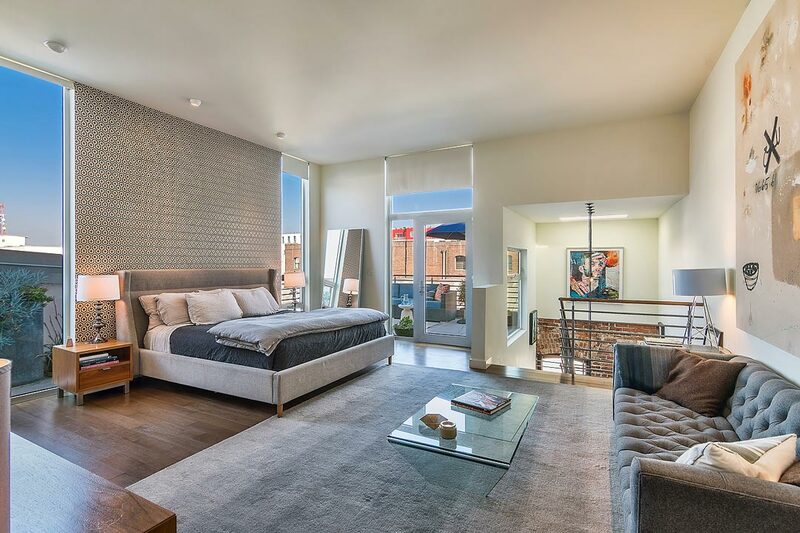 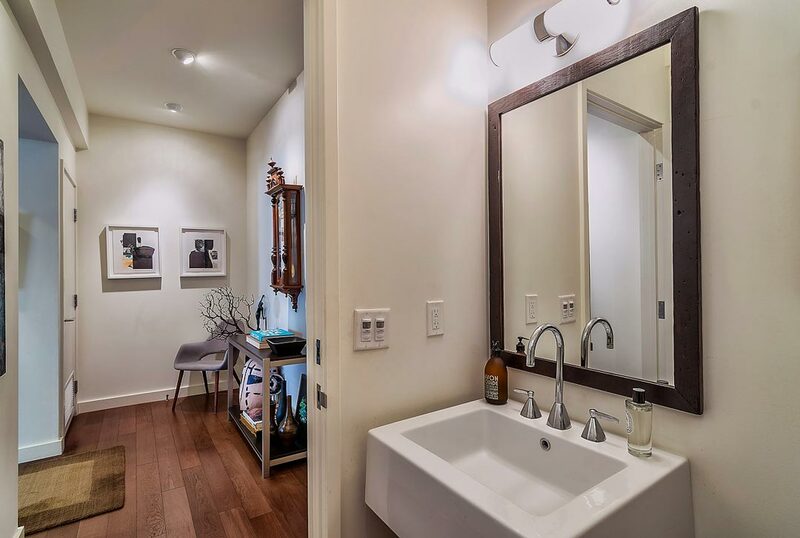 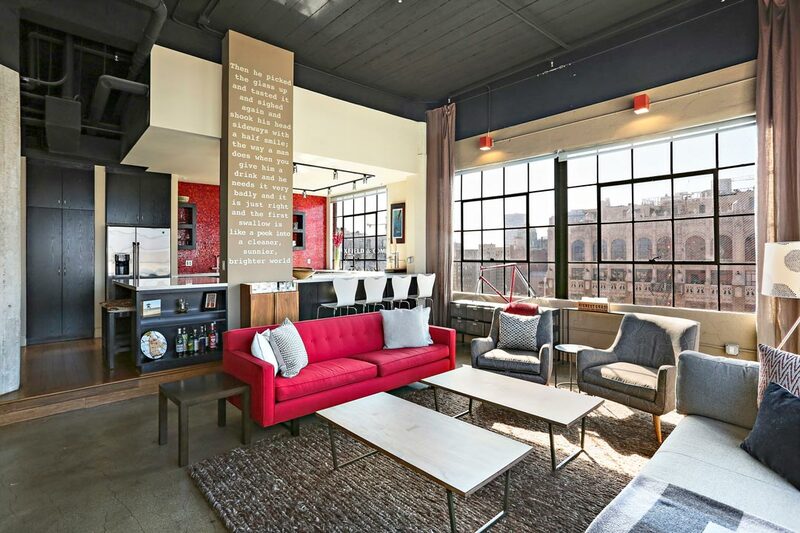 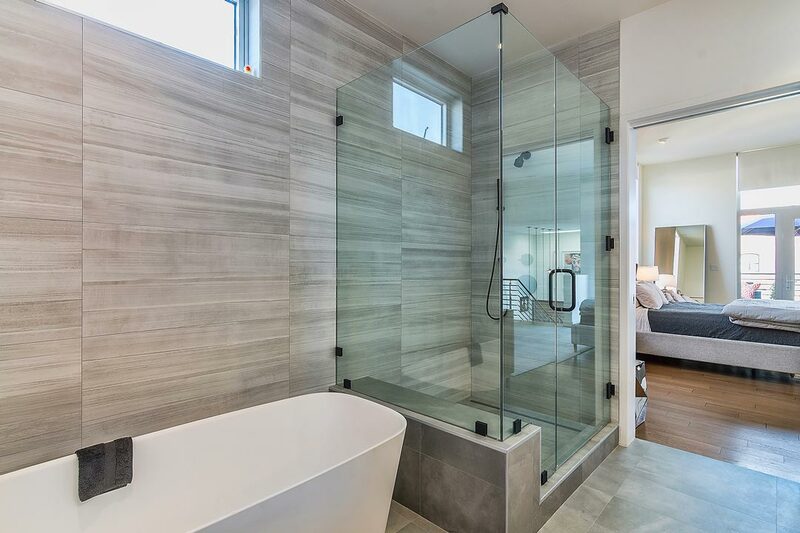 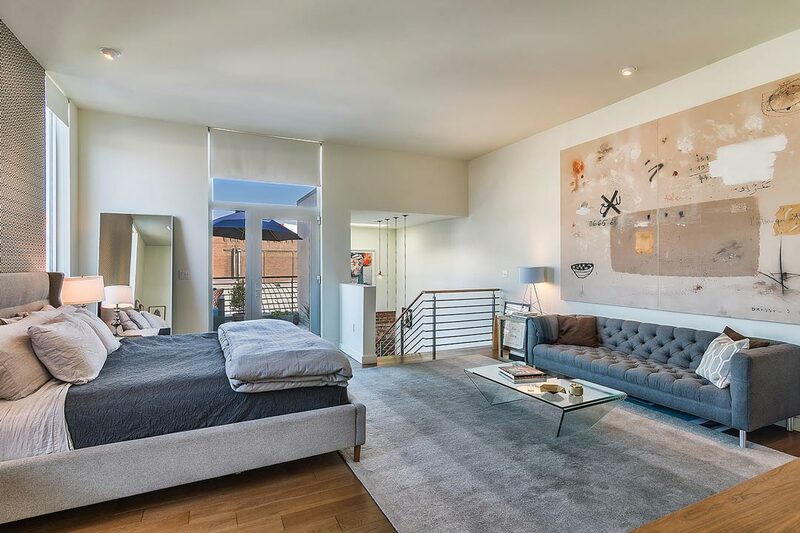 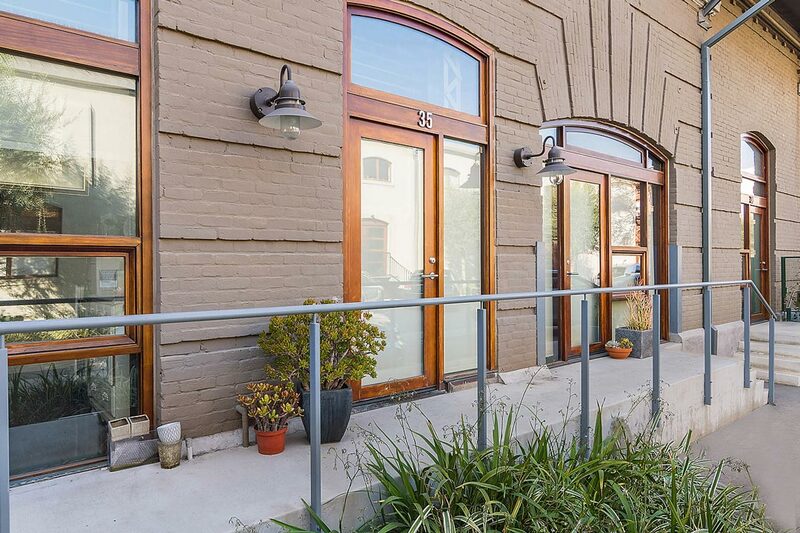 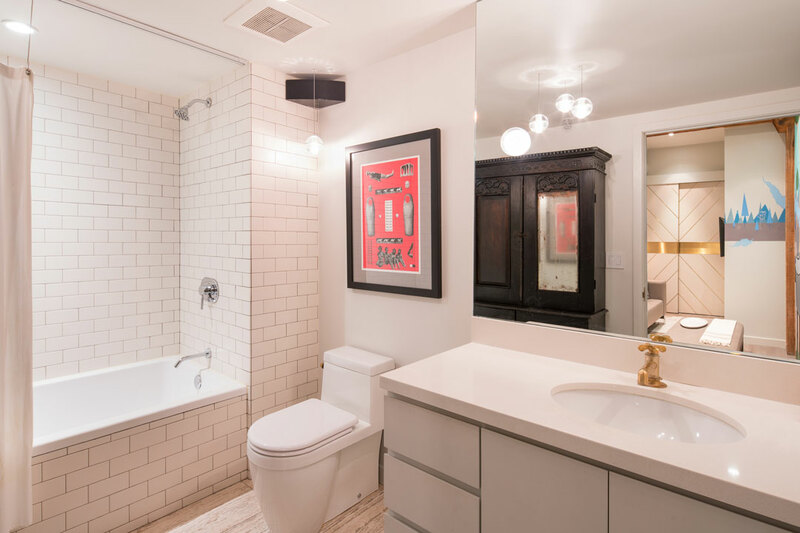 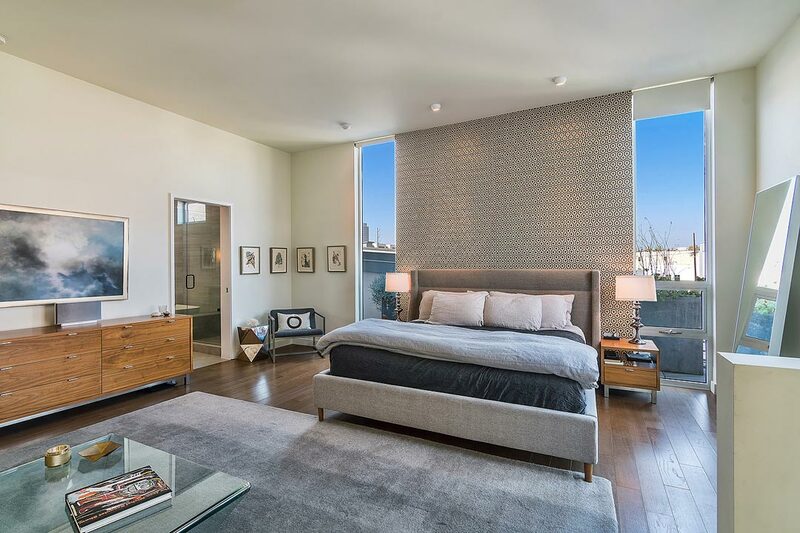 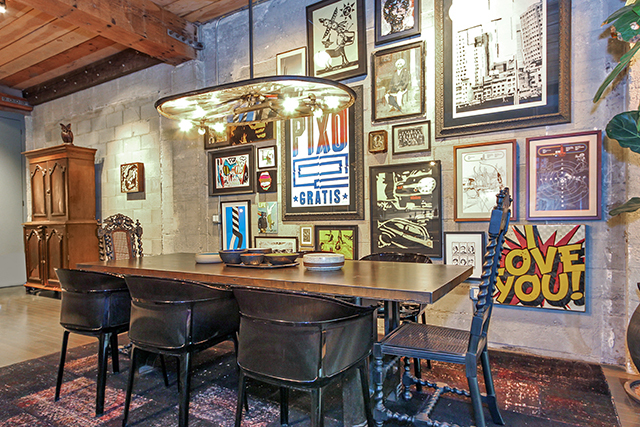 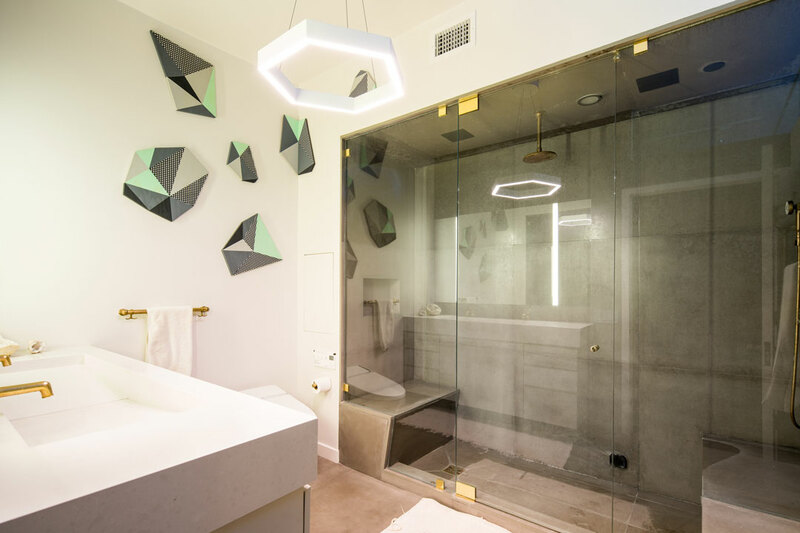 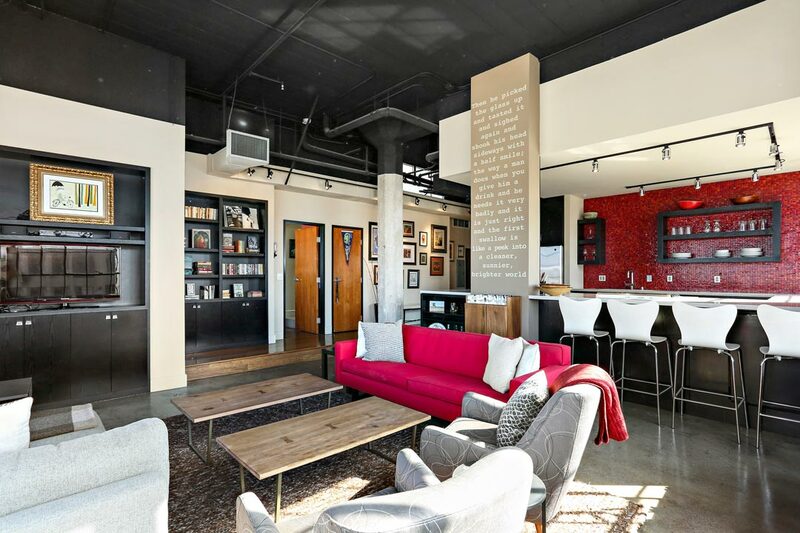 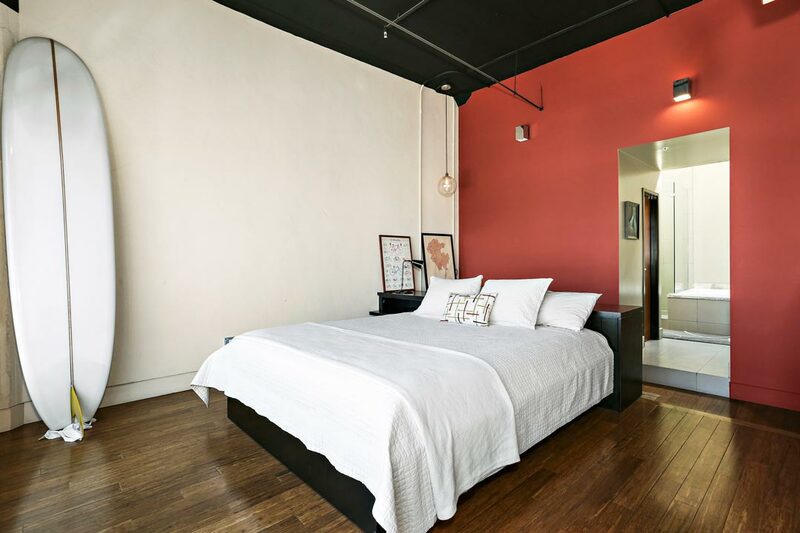 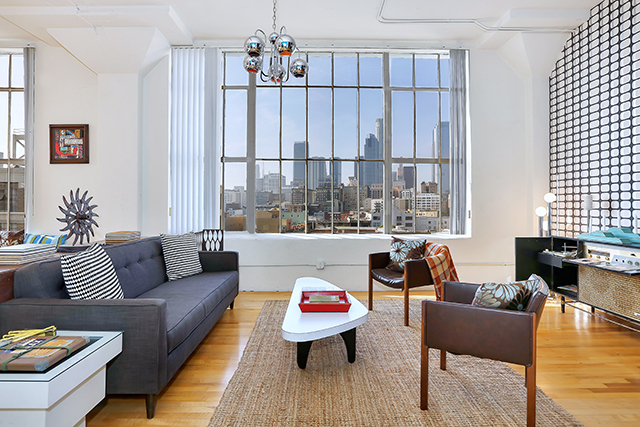 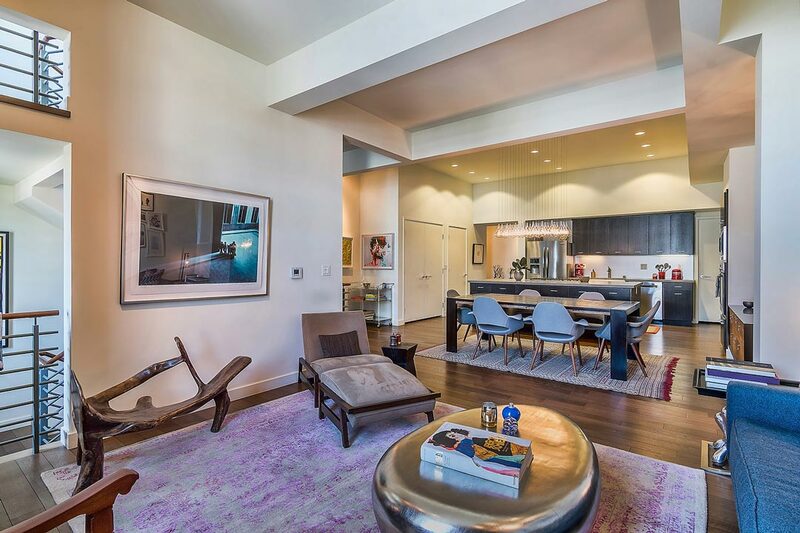 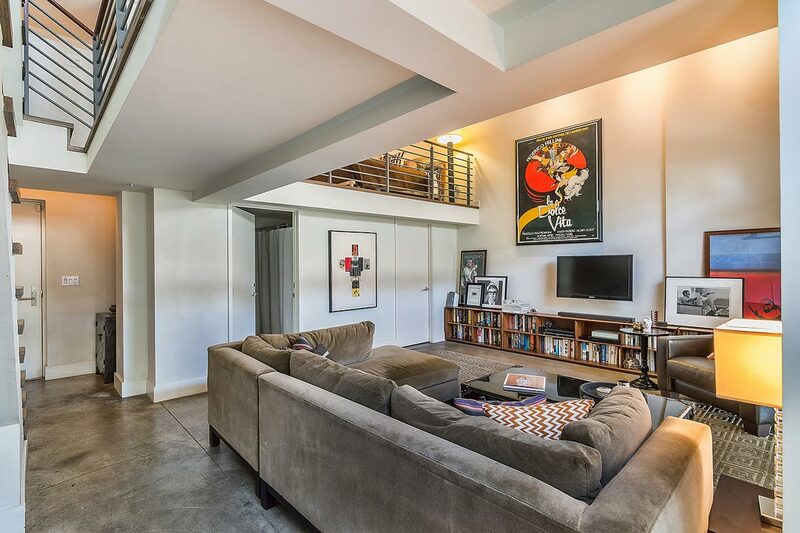 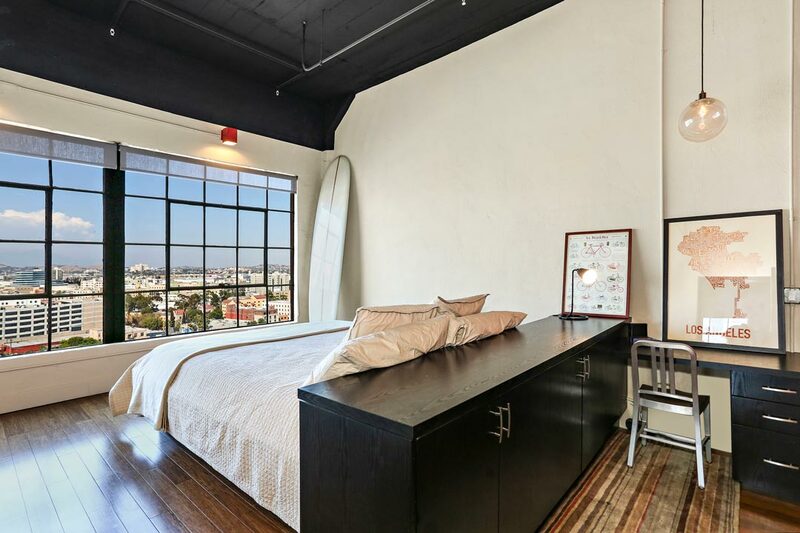 Bath: 1 / Living Area: 1,030 Square Ft.
A beautifully customized loft in the most happening community in LA. 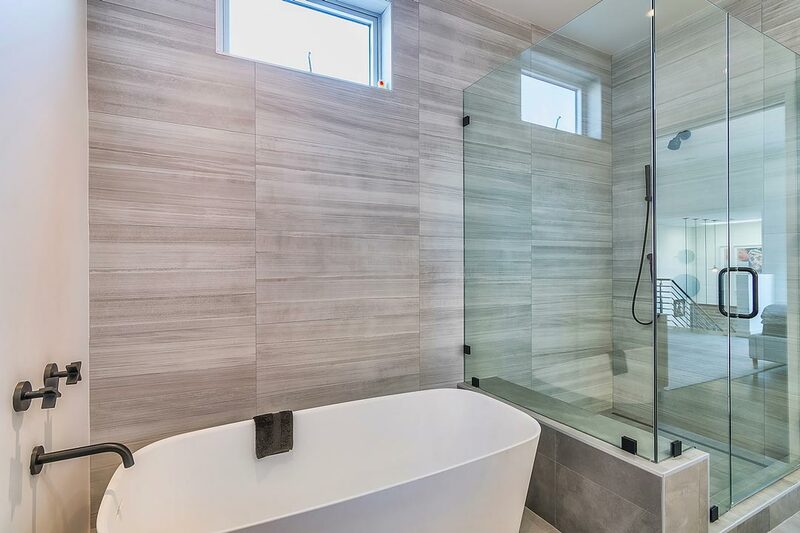 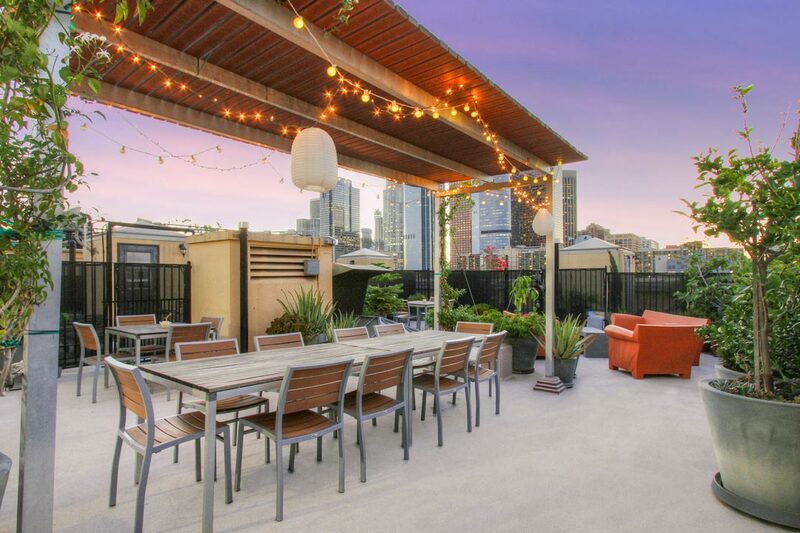 This gorgeous Barker Block home has been renovated from the ground up with a high-end aesthetic. 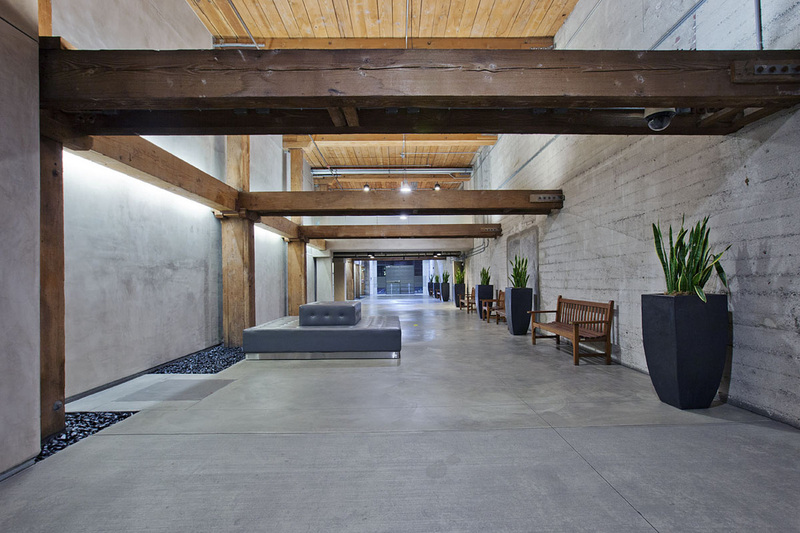 It is ideally-located and features elevated wood ceilings, concrete walls, wood beams and an expansive east-facing view. 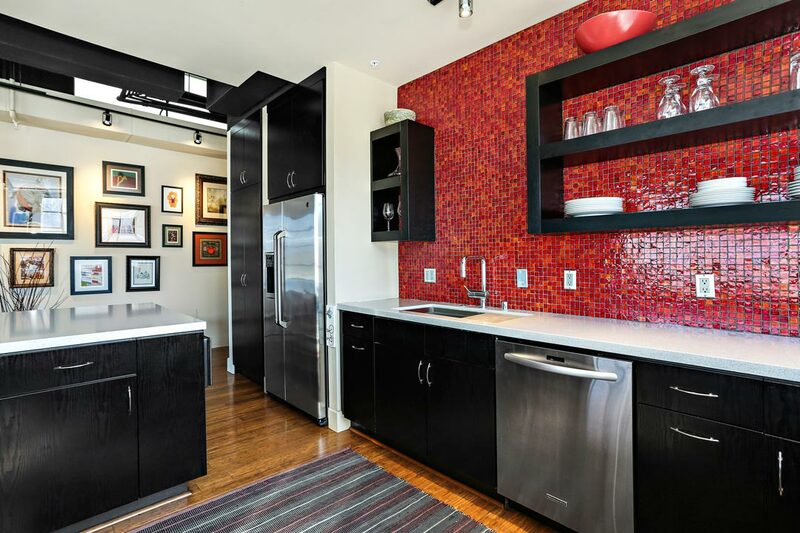 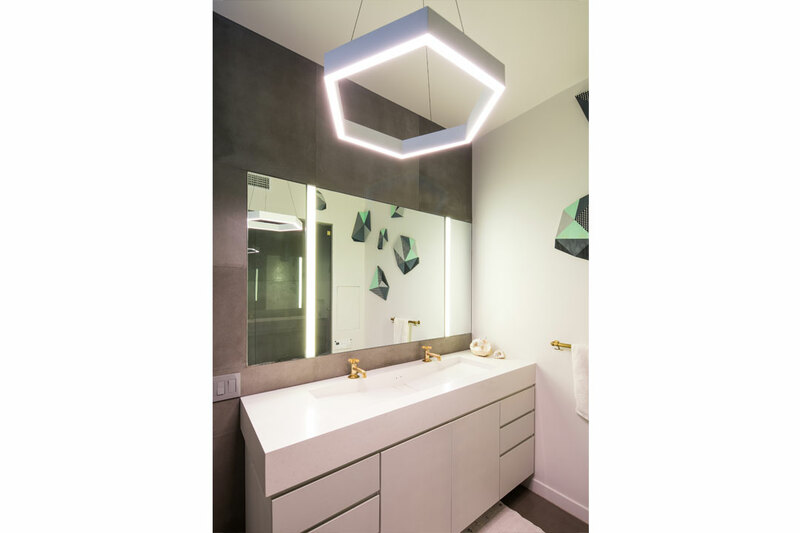 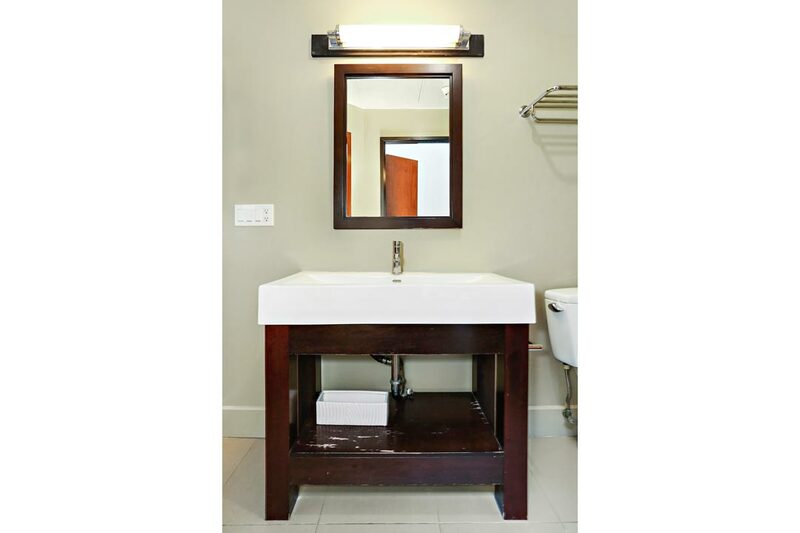 Numerous enhancements include custom shelving, lighting and a kitchen backsplash of designer tile. 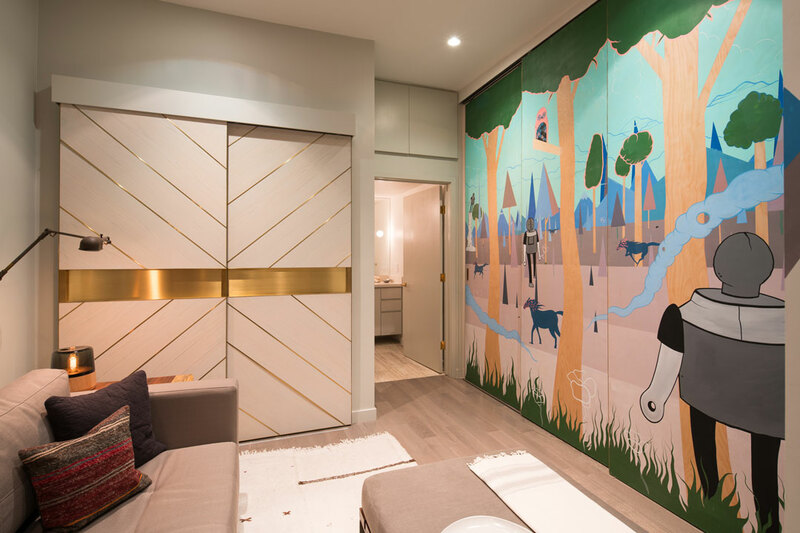 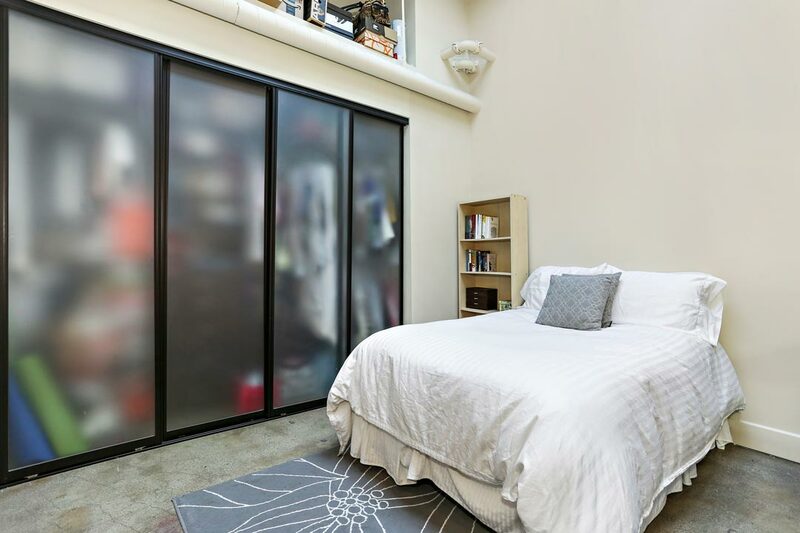 Storage has been increased highlighted by two huge closets with hand-milled sliding doors. 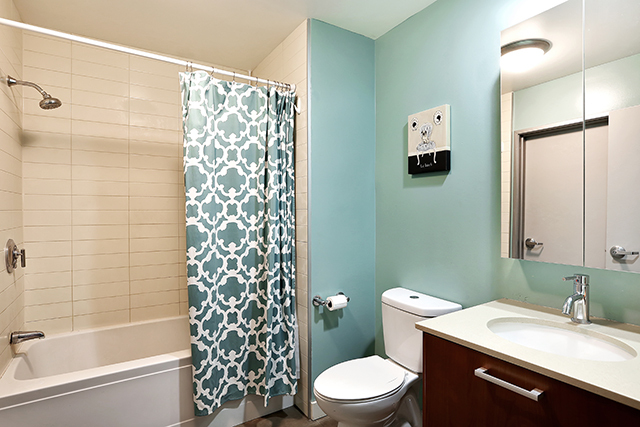 Added upgrades include custom paint, crafted lighting and electrical work. 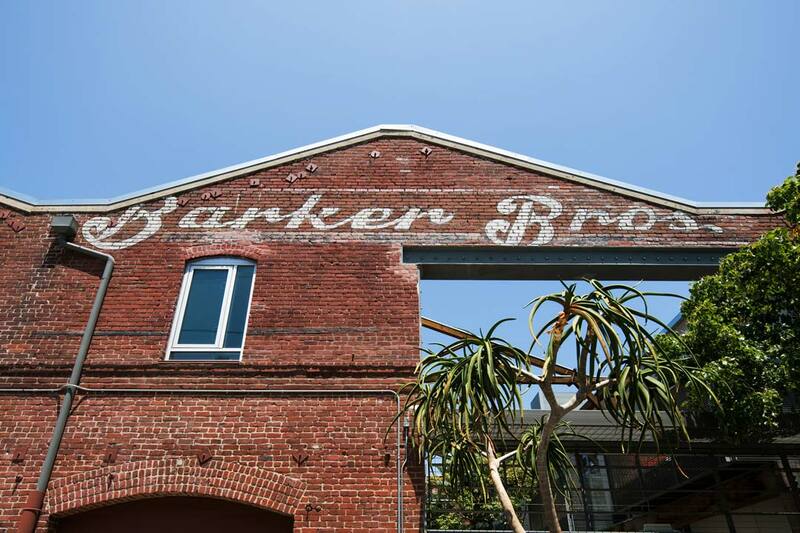 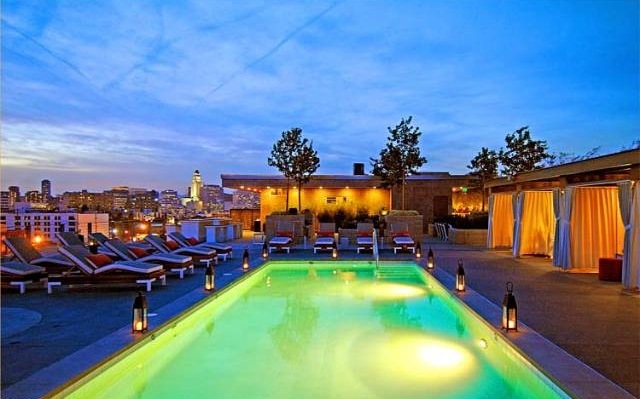 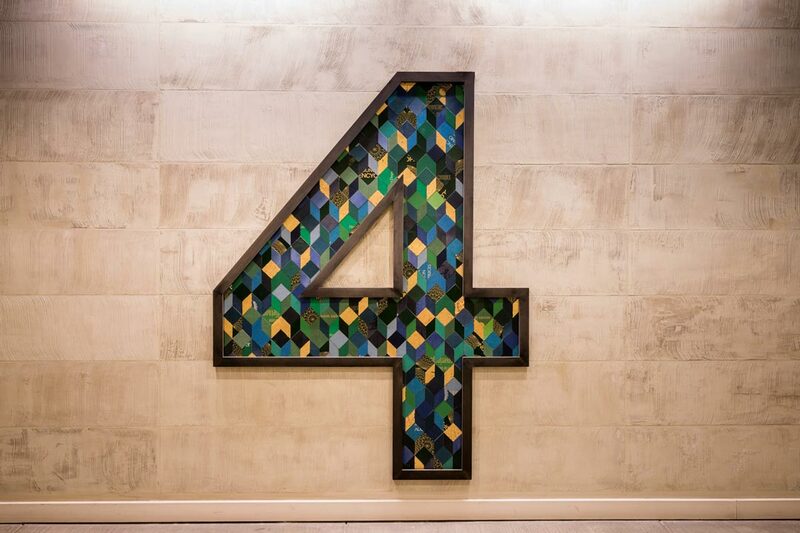 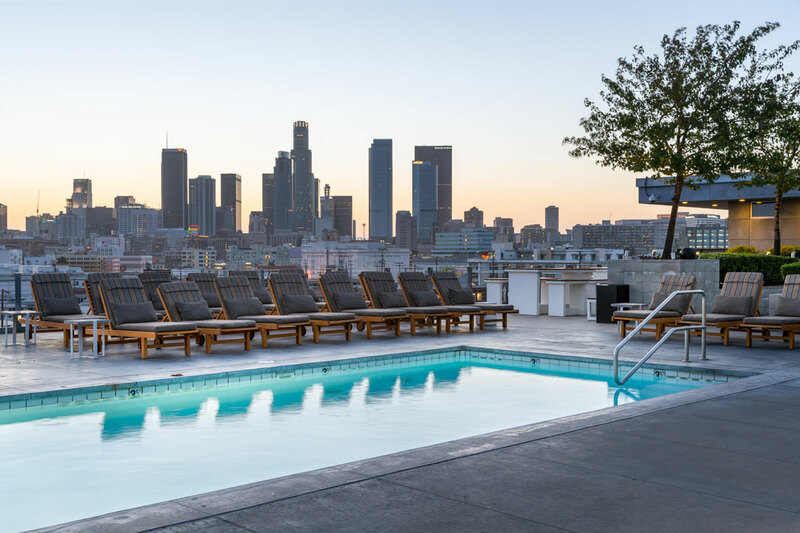 Barker Block is downtown’s sexiest address, its rooftop pool and lounge like an exotic luxury hotel. 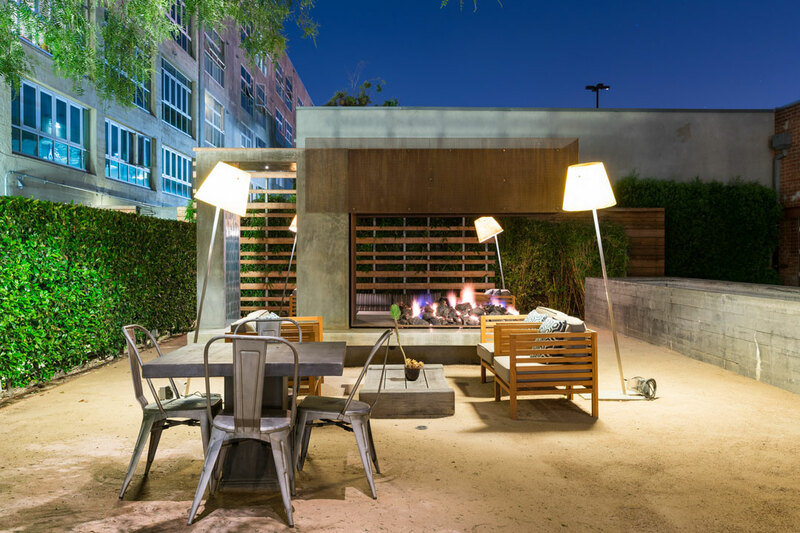 The outdoor fireplace, private cabana’s and gym all have jaw-dropping views of the downtown skyline. 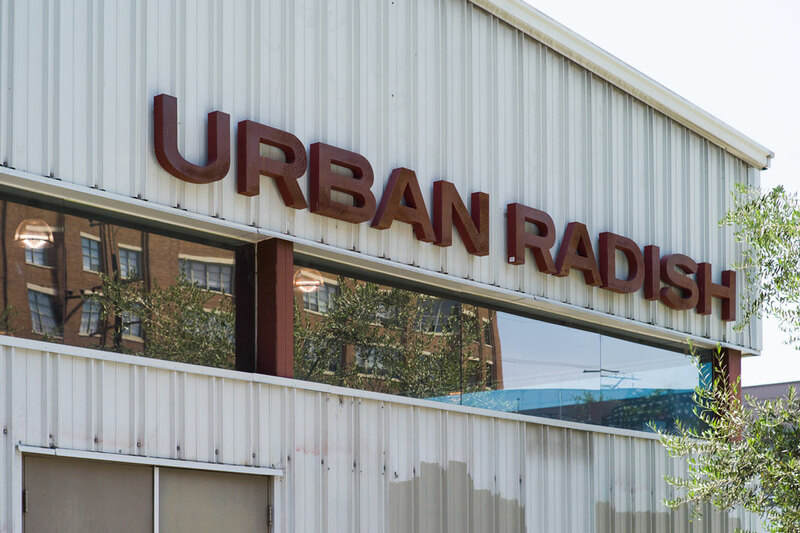 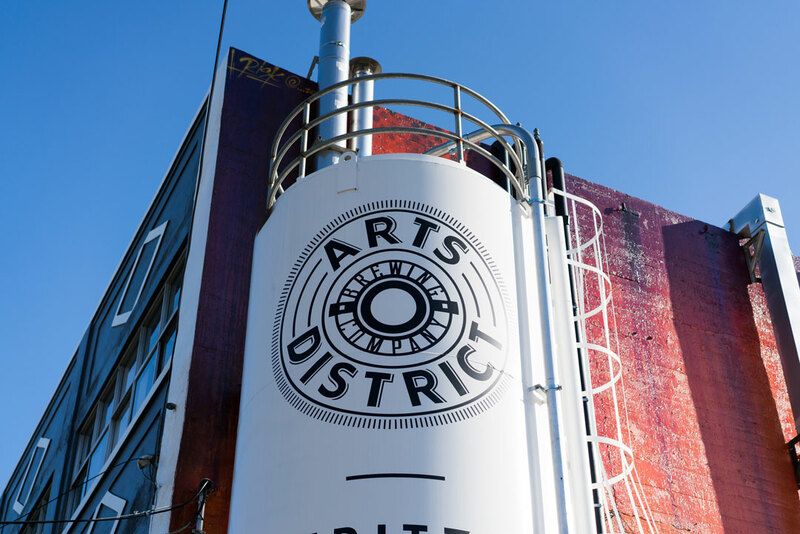 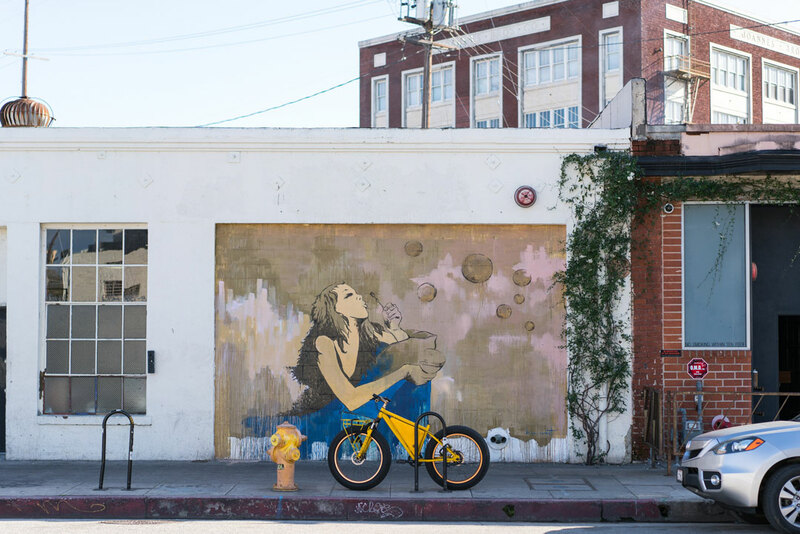 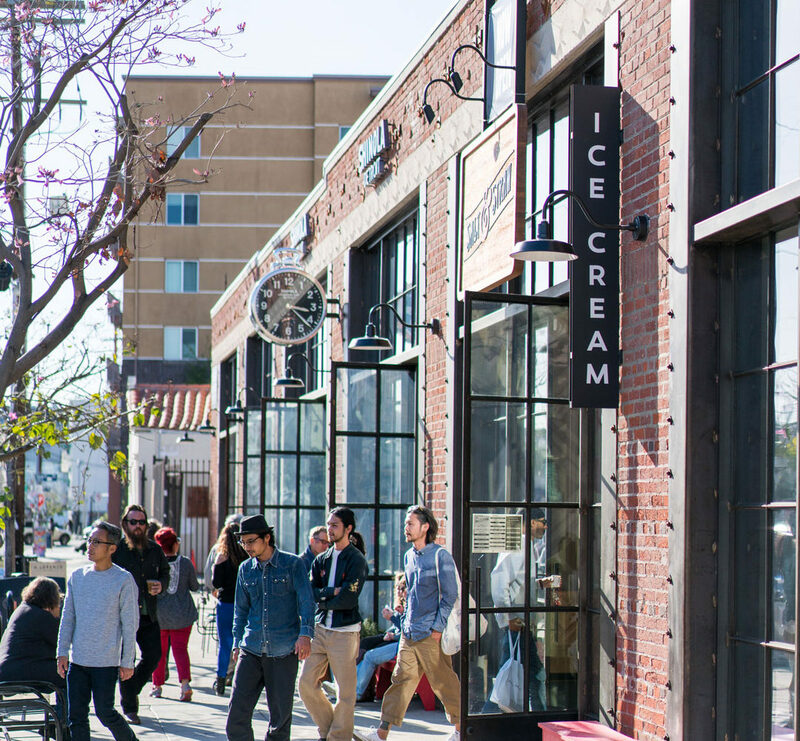 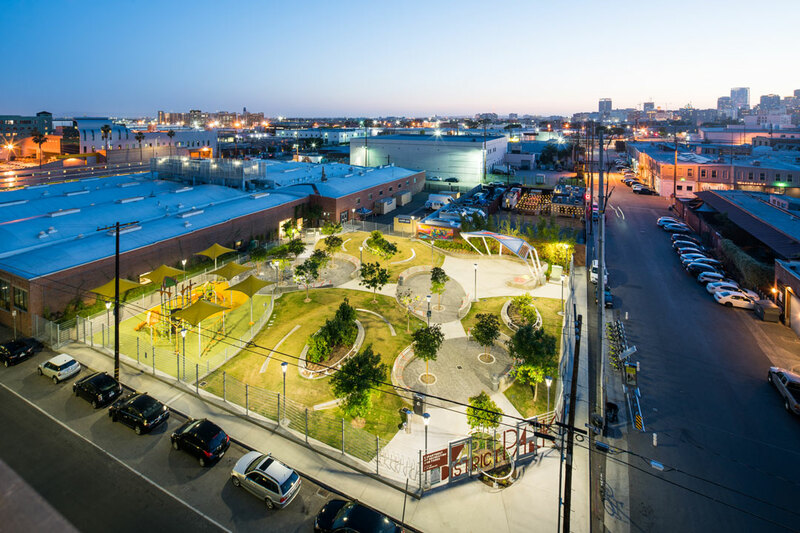 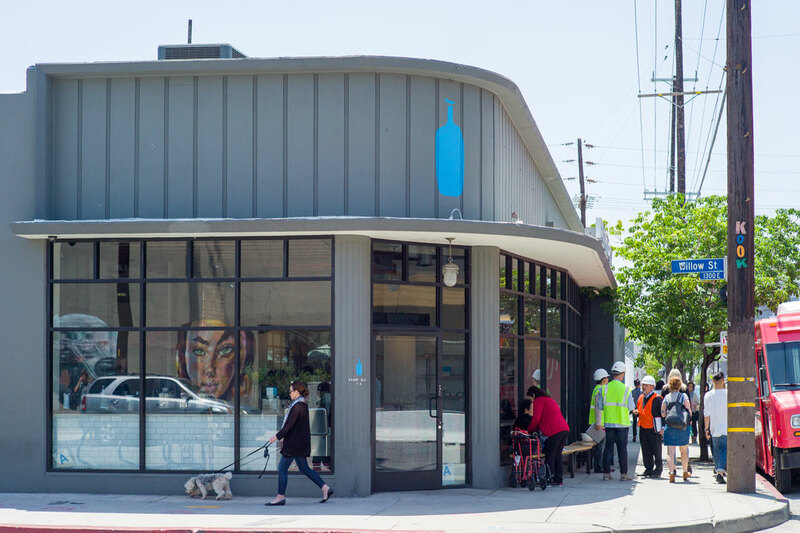 It is the beating heart of the Arts District with shops, cafés, markets, top new restaurants and night spots right out the front door. 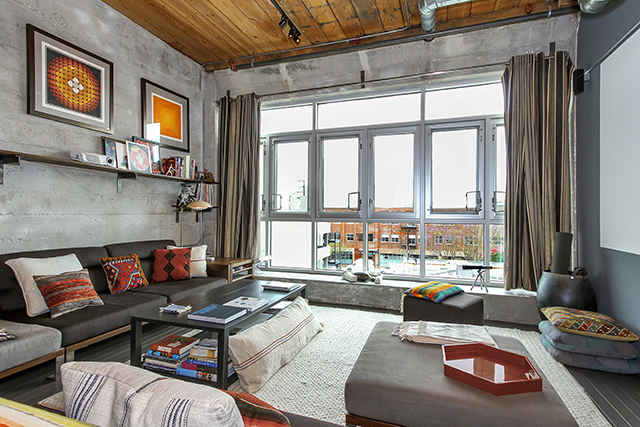 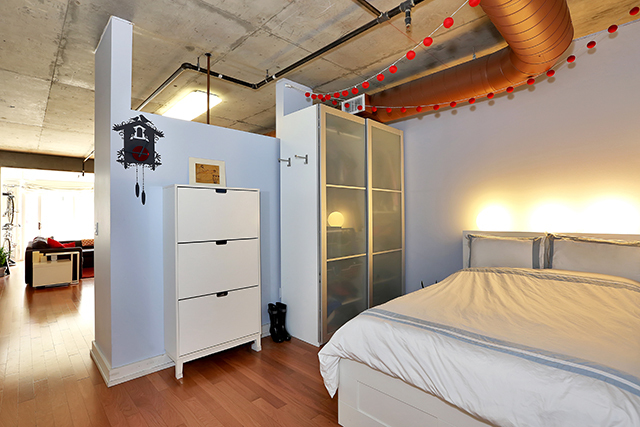 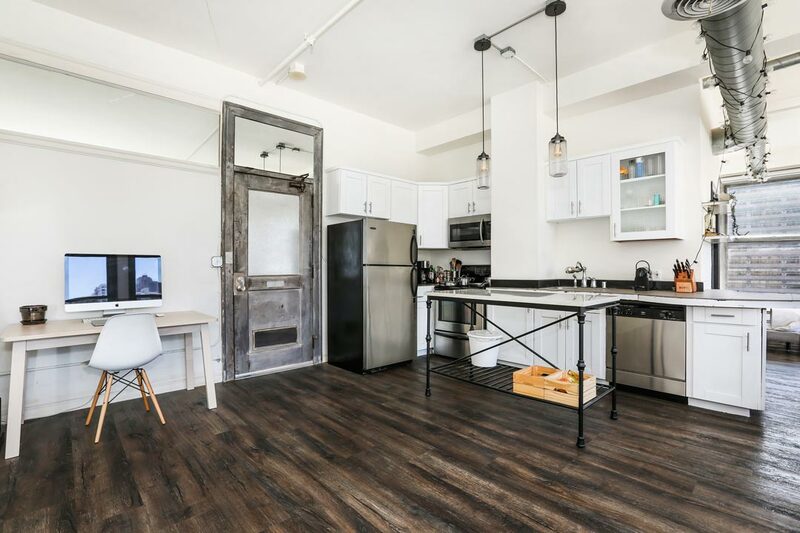 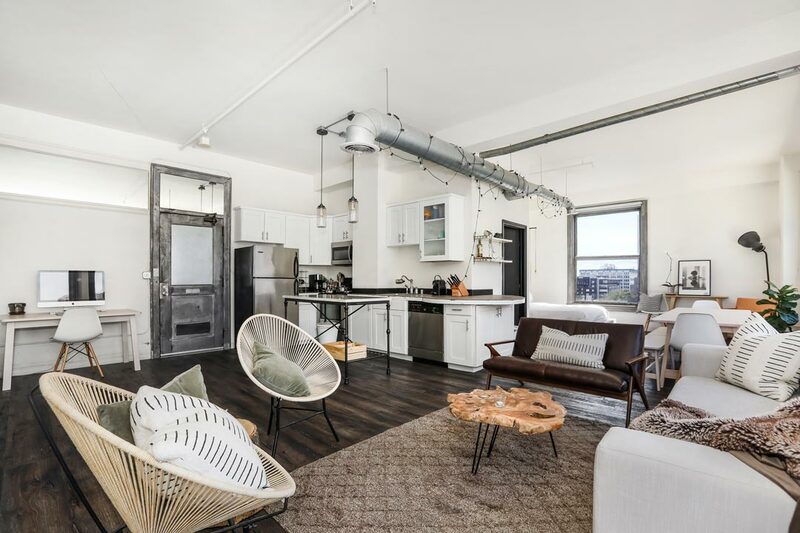 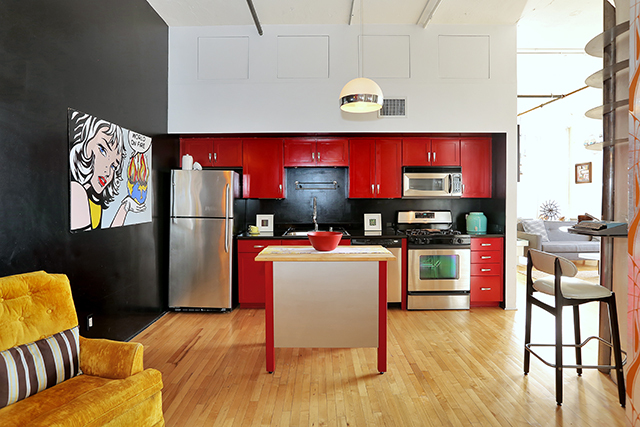 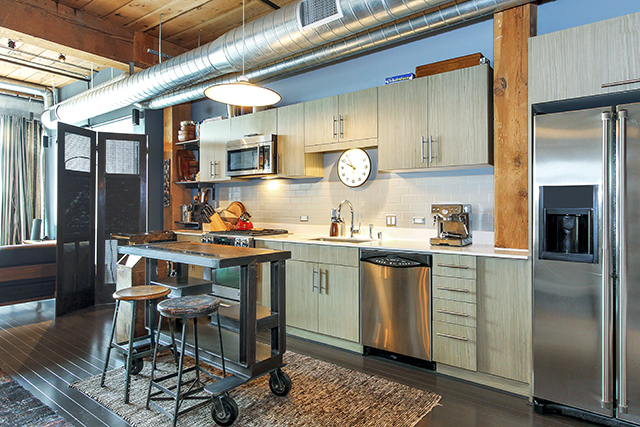 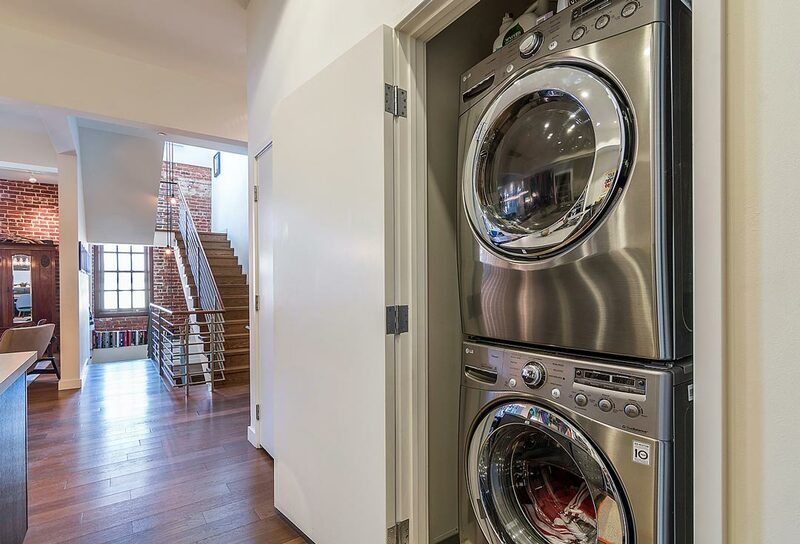 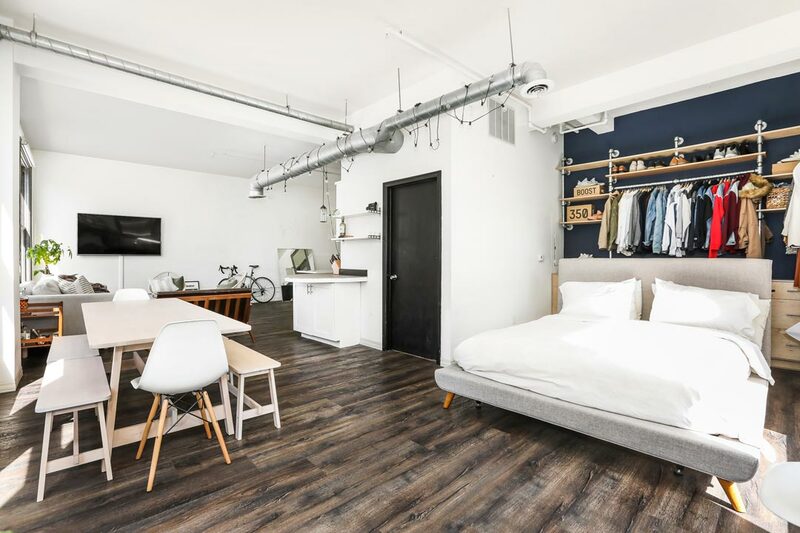 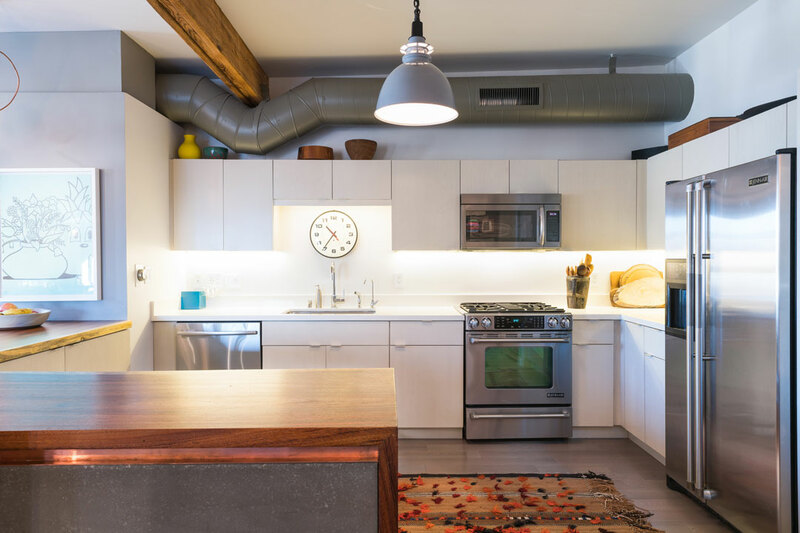 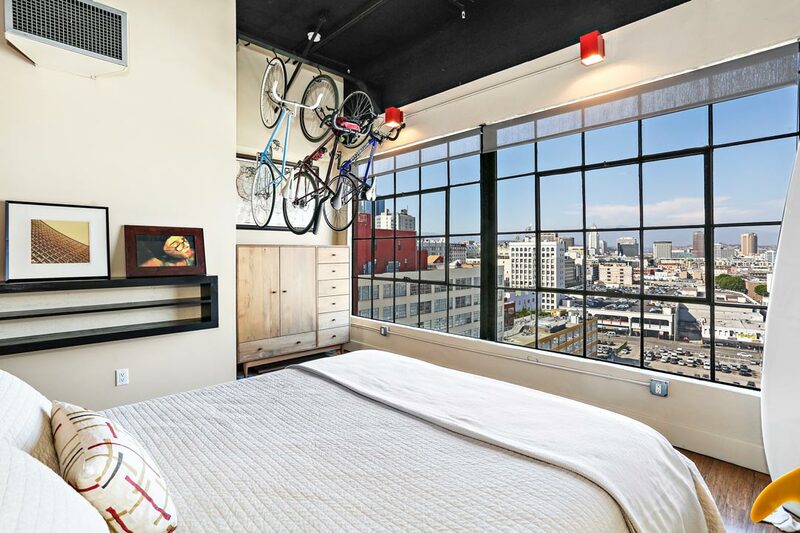 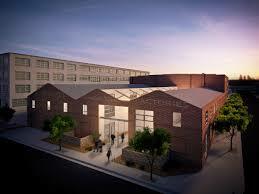 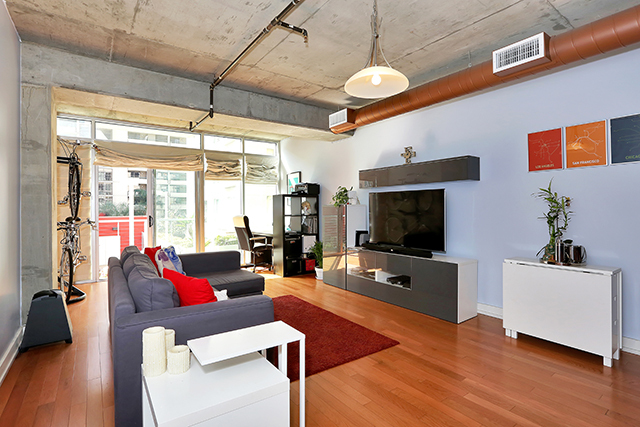 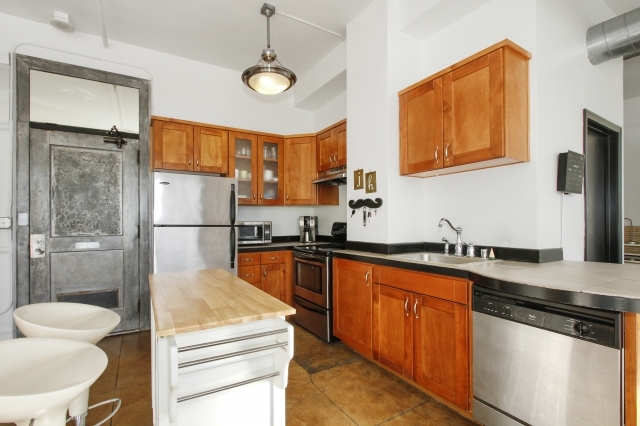 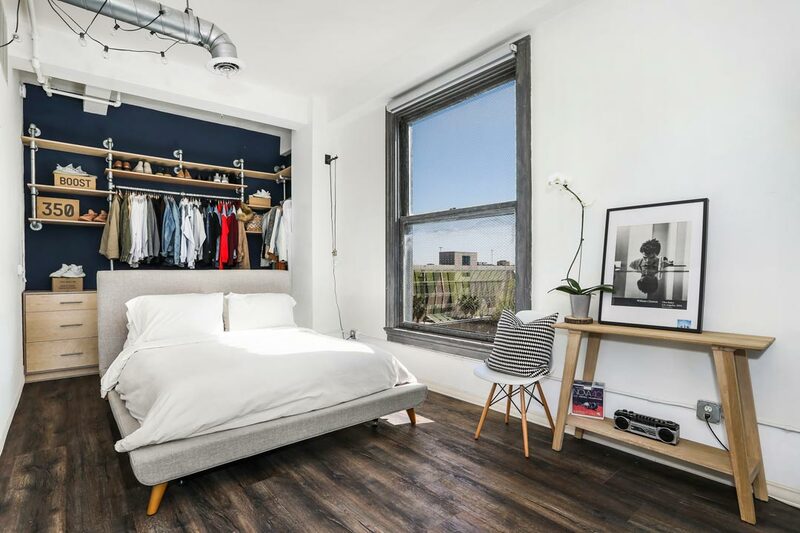 Loft includes in-unit laundry and direct access to an assigned parking space in a covered garage. 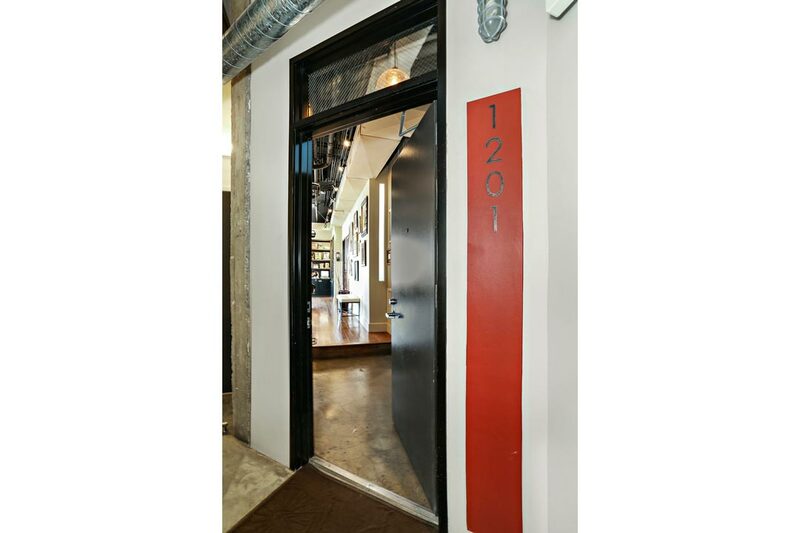 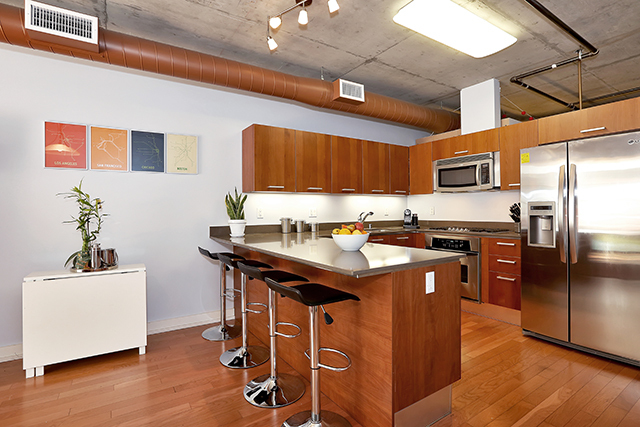 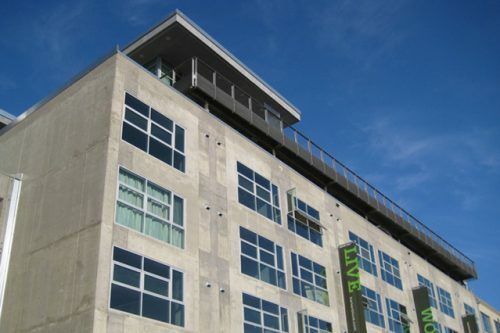 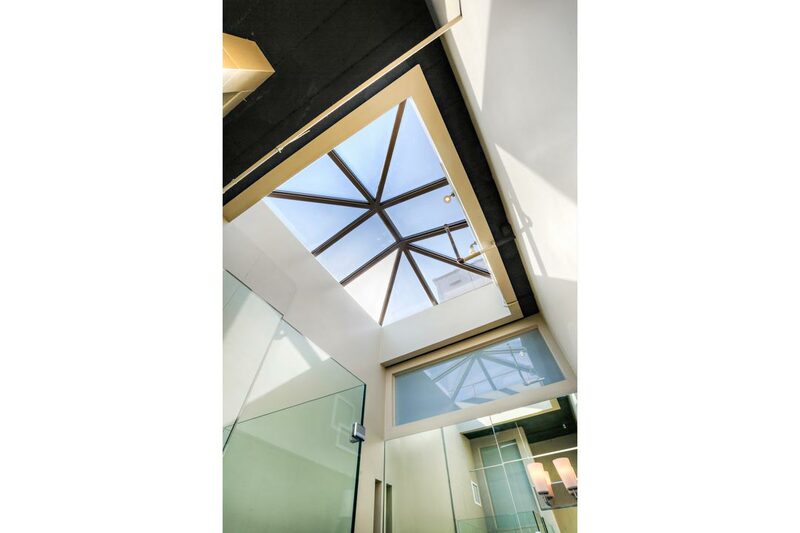 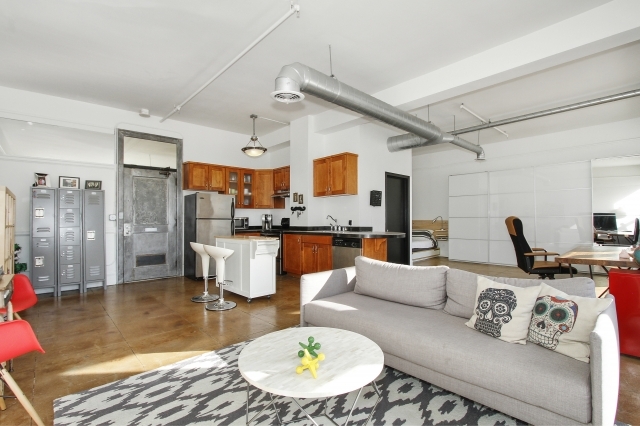 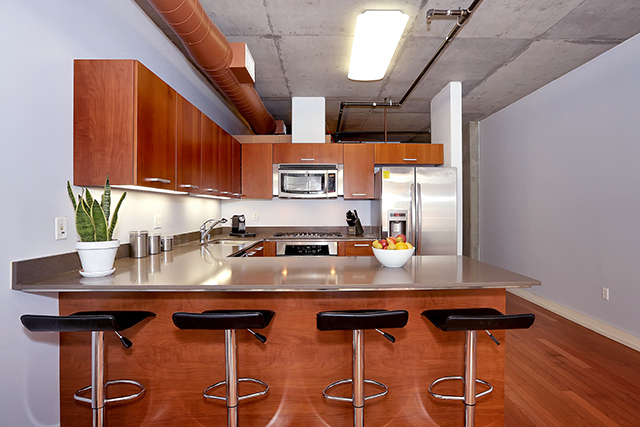 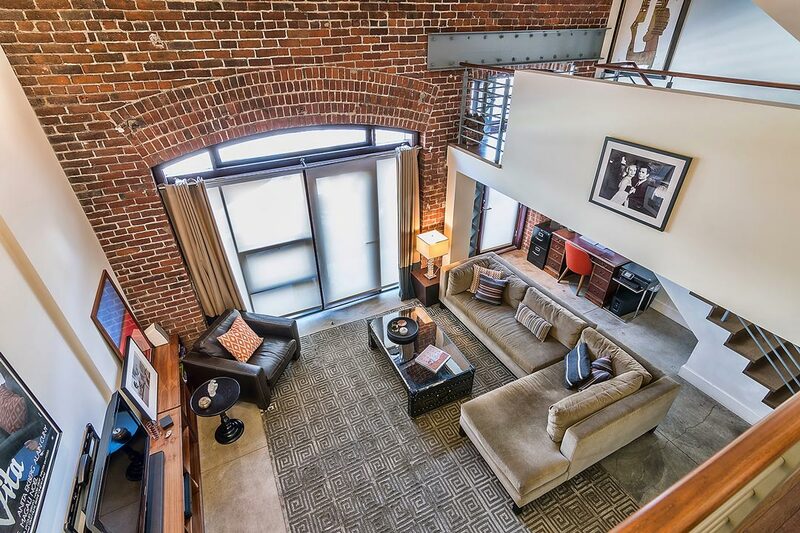 Contemporary Downtown Loft for Lease! 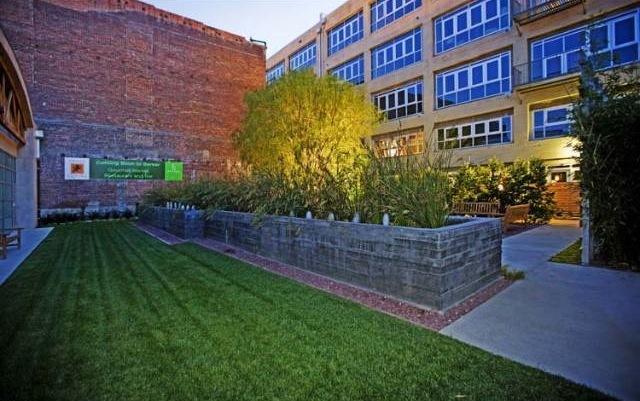 Offered for Lease at: $2,200/mo. 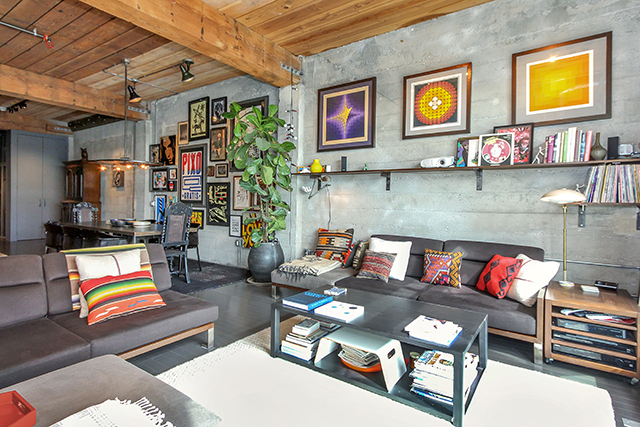 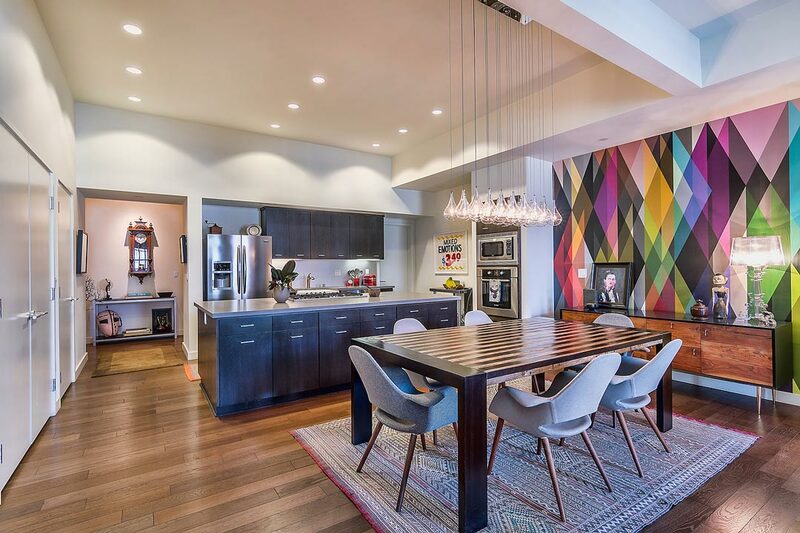 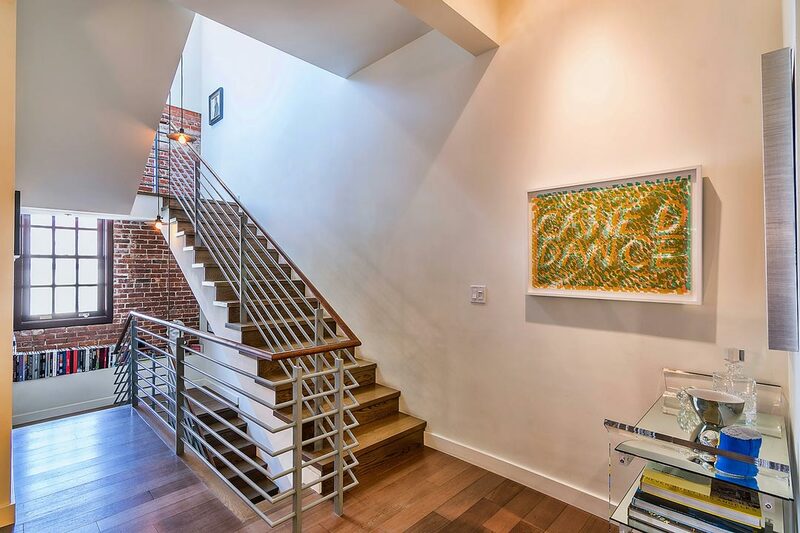 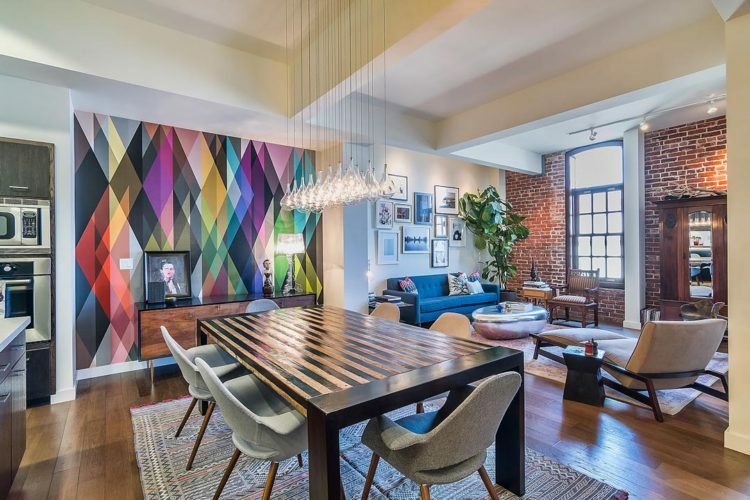 An opportunity to purchase a super cool living environment, the home of a key player in an iconic rock n’ roll band. 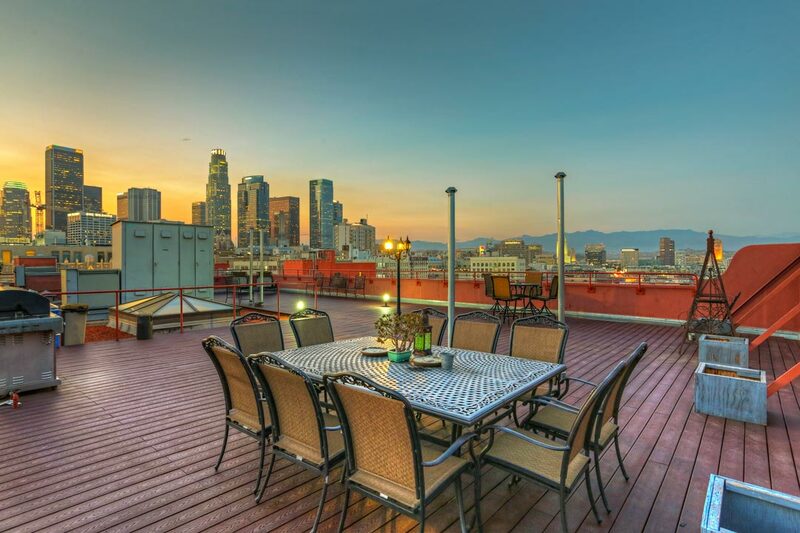 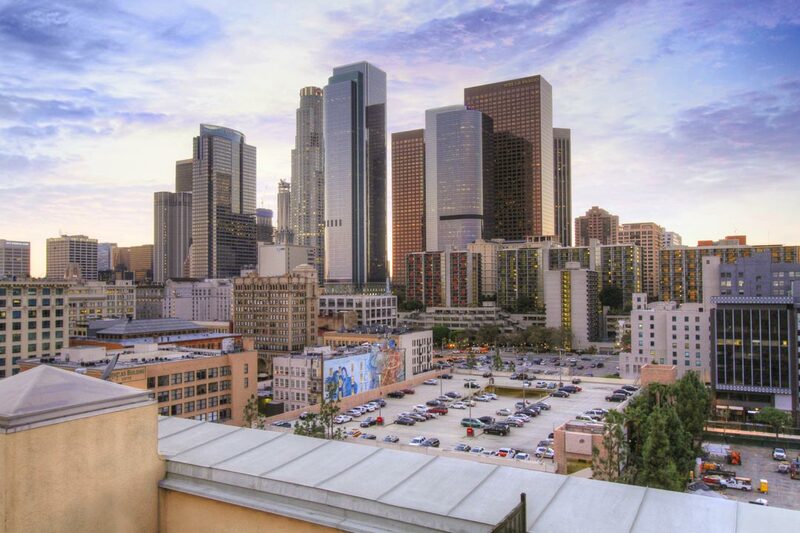 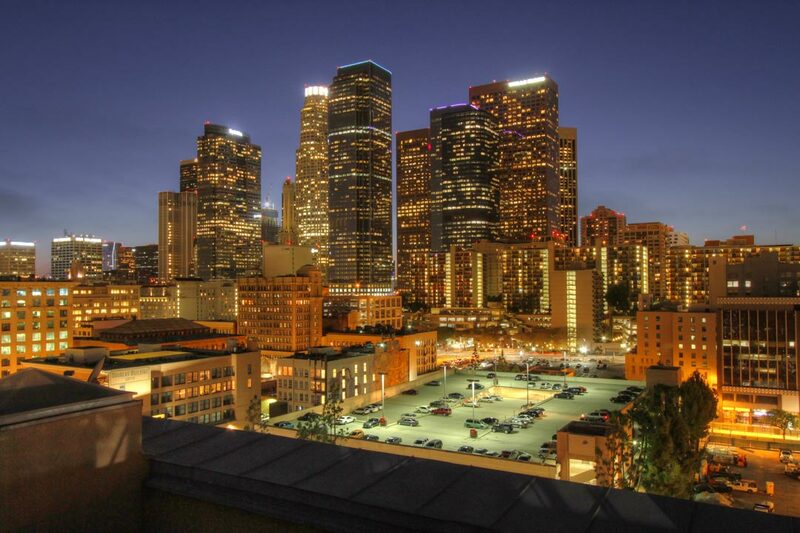 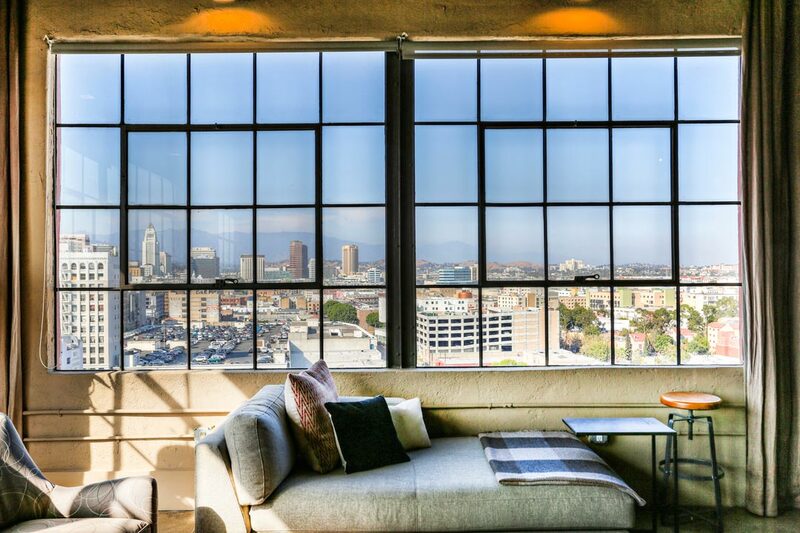 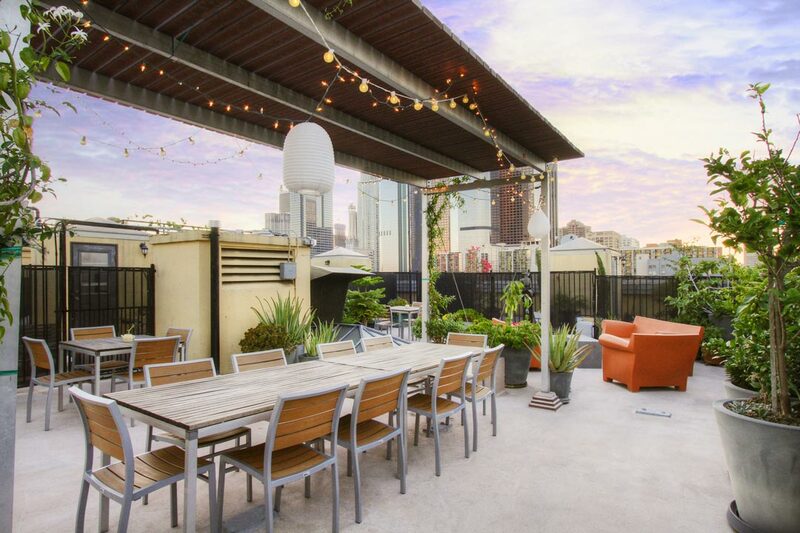 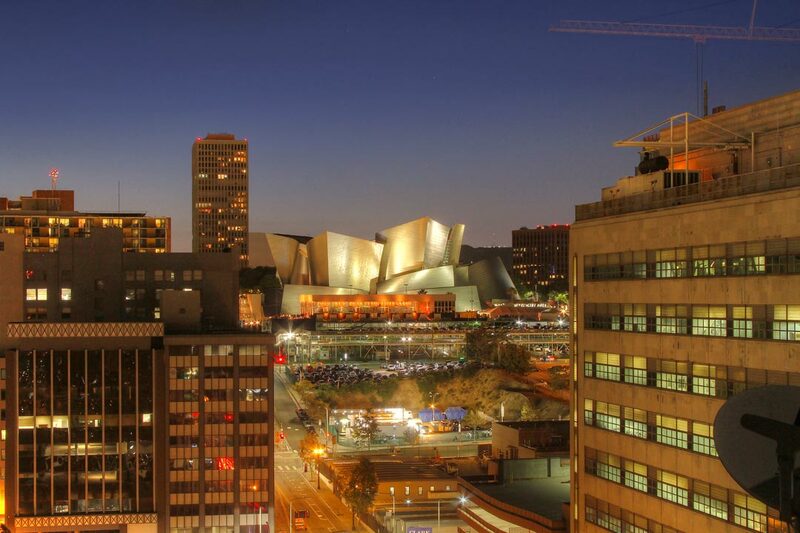 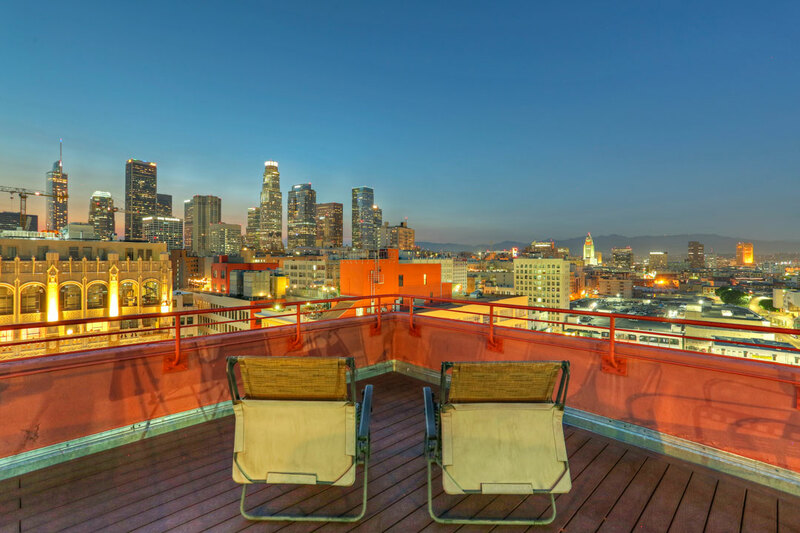 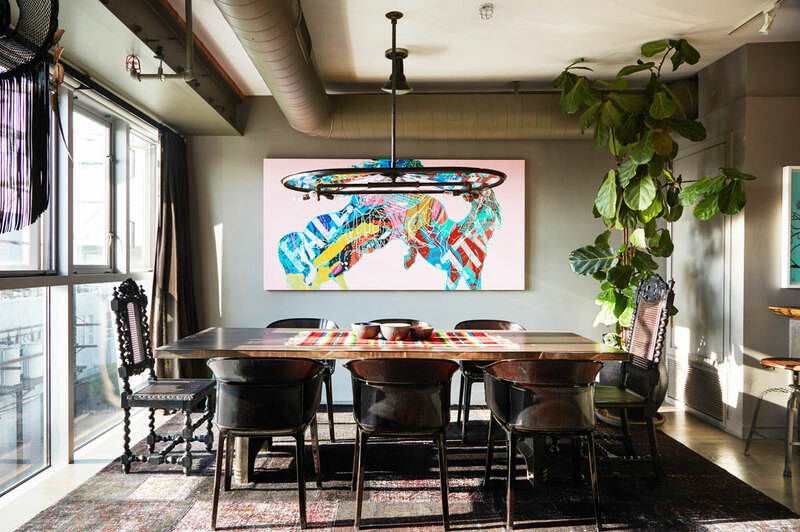 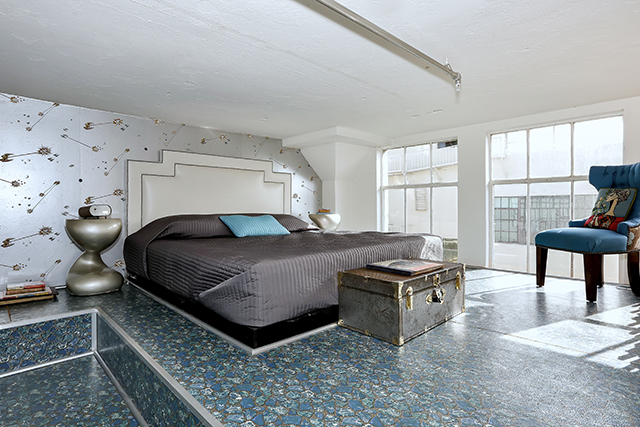 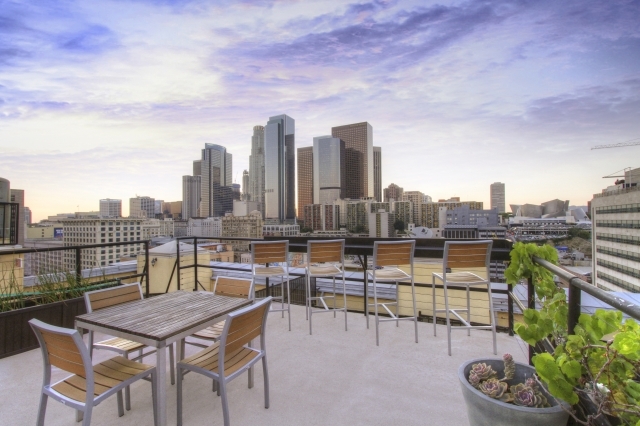 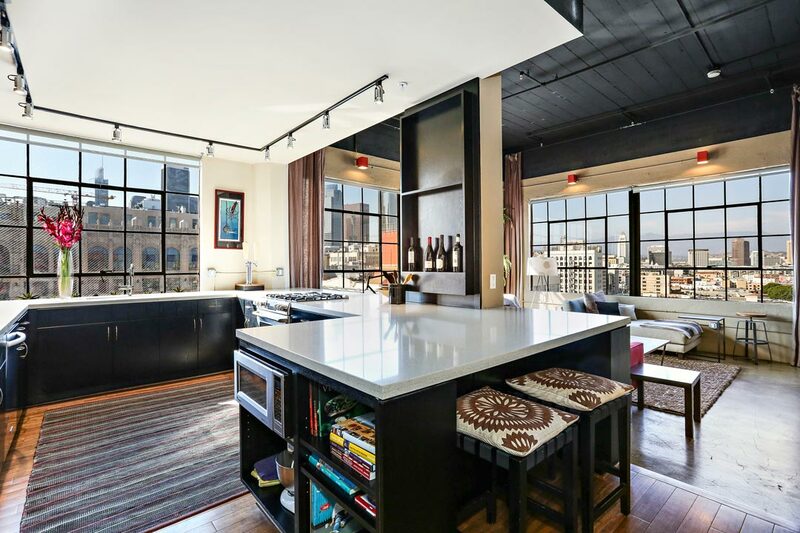 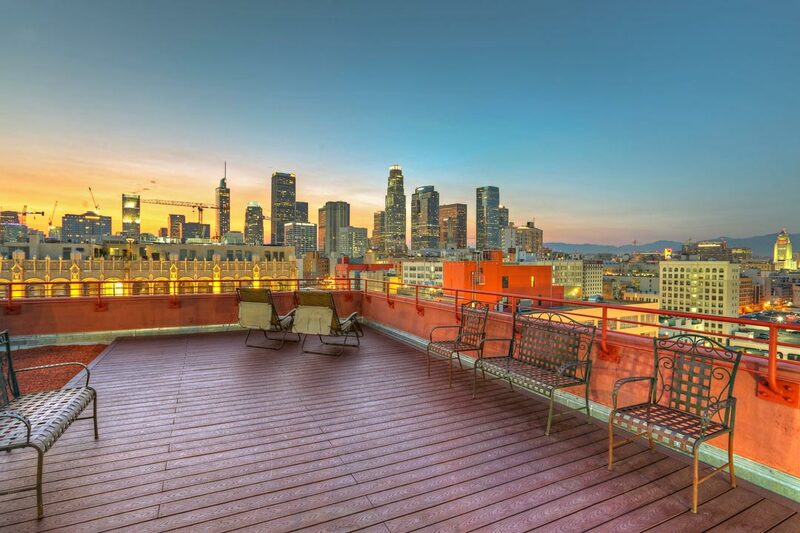 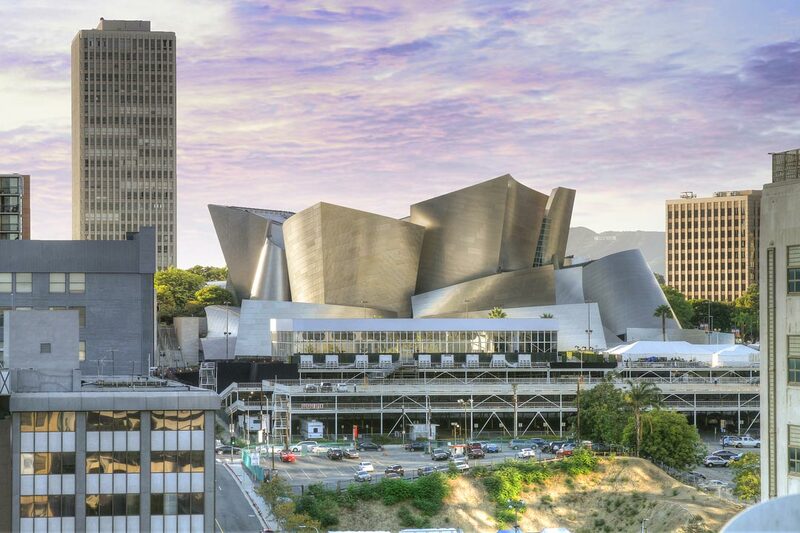 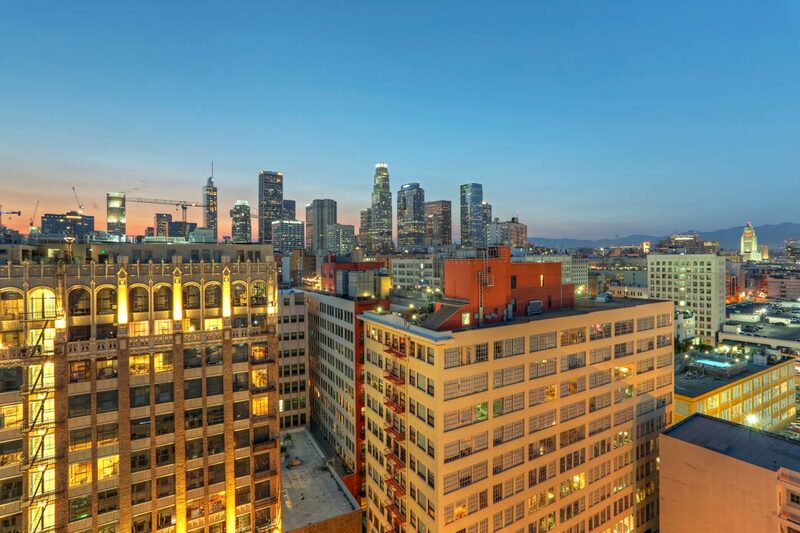 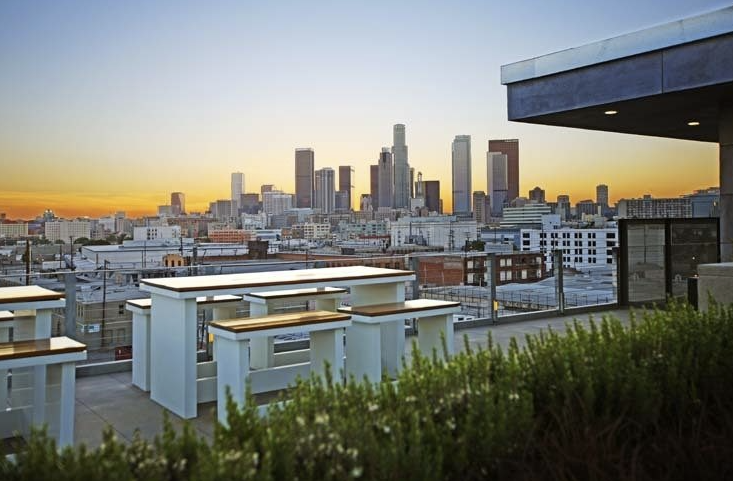 The loft of Go-Go’s guitarist/songwriter Jane Wiedlin puts you in the heart of Downtown LA with spectacular skyline views. 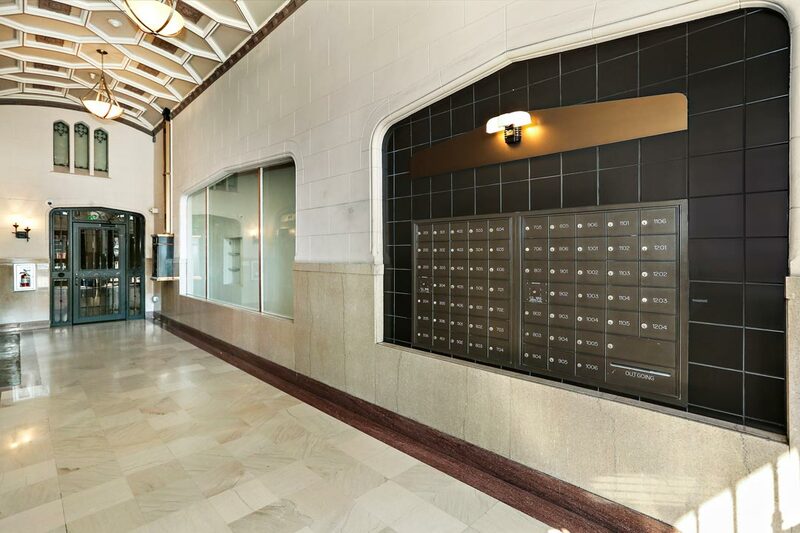 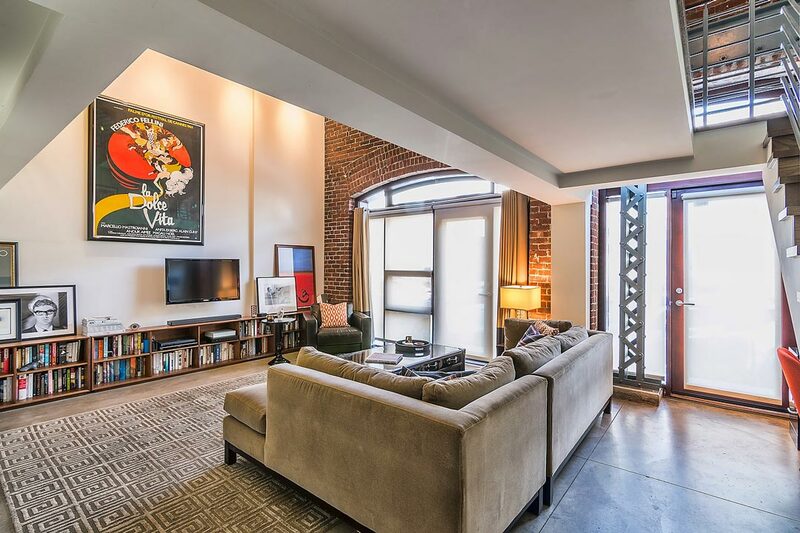 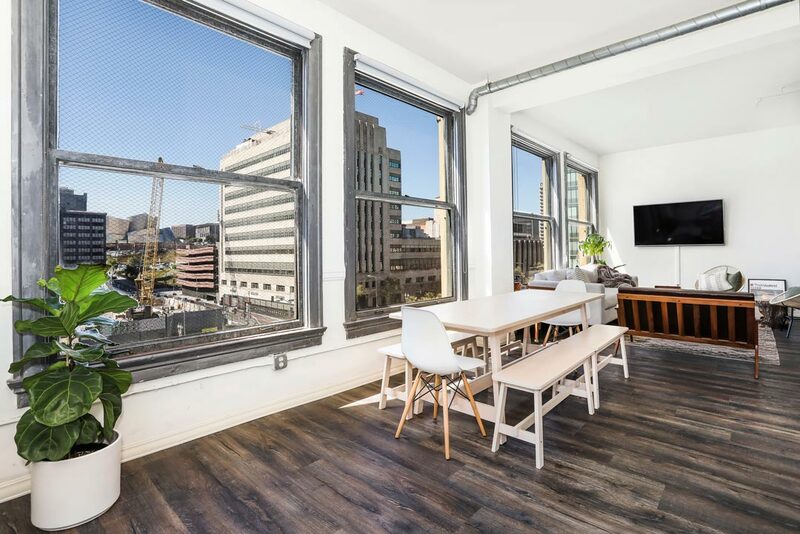 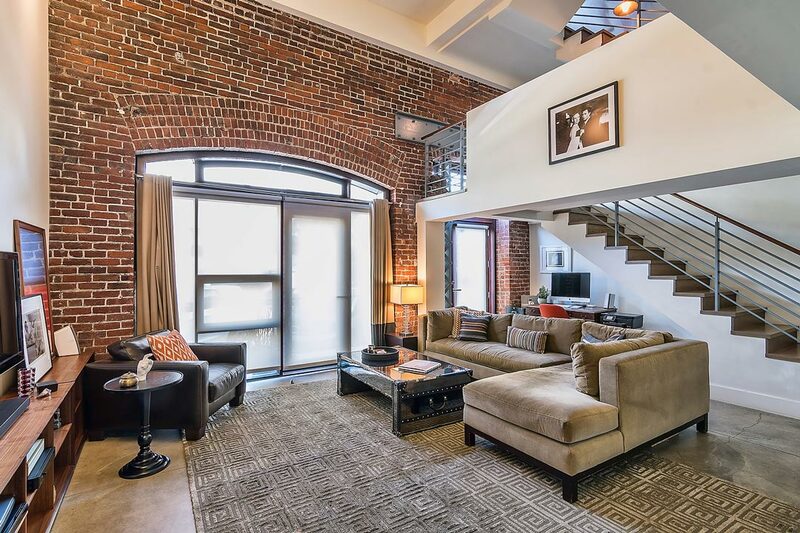 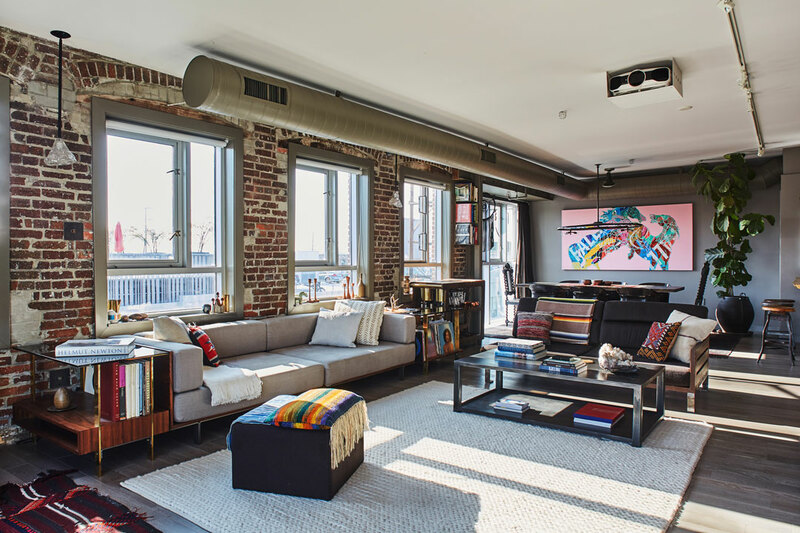 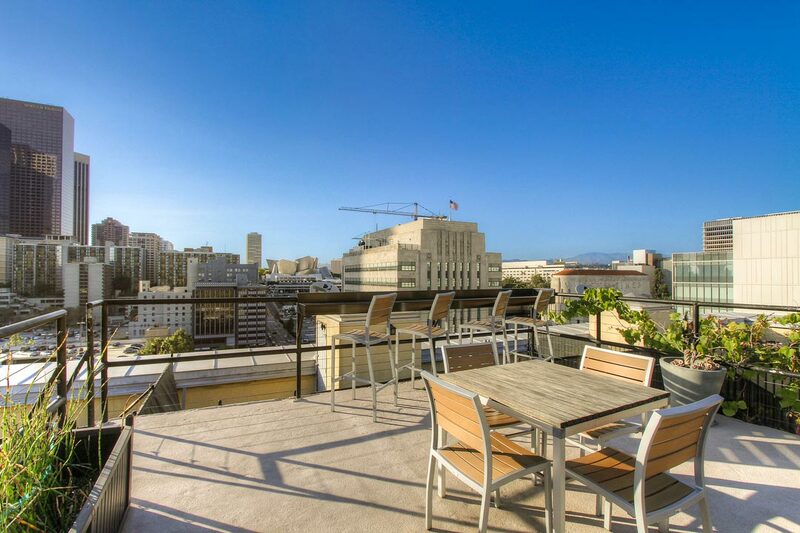 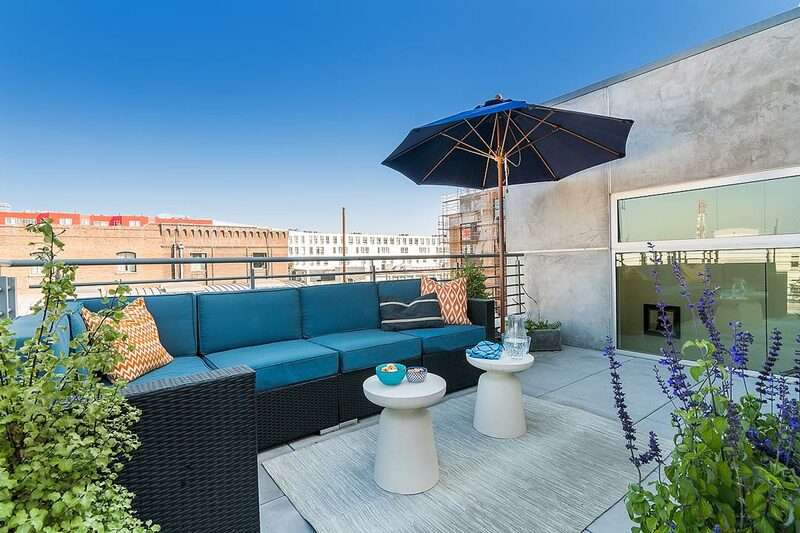 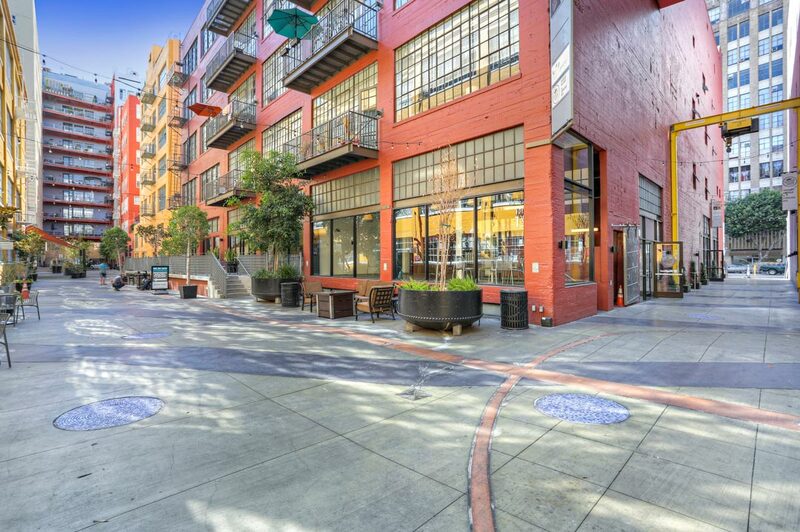 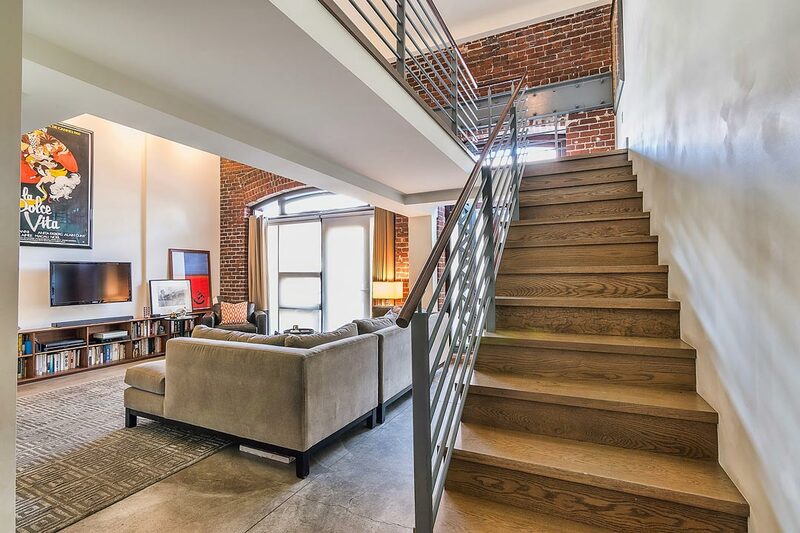 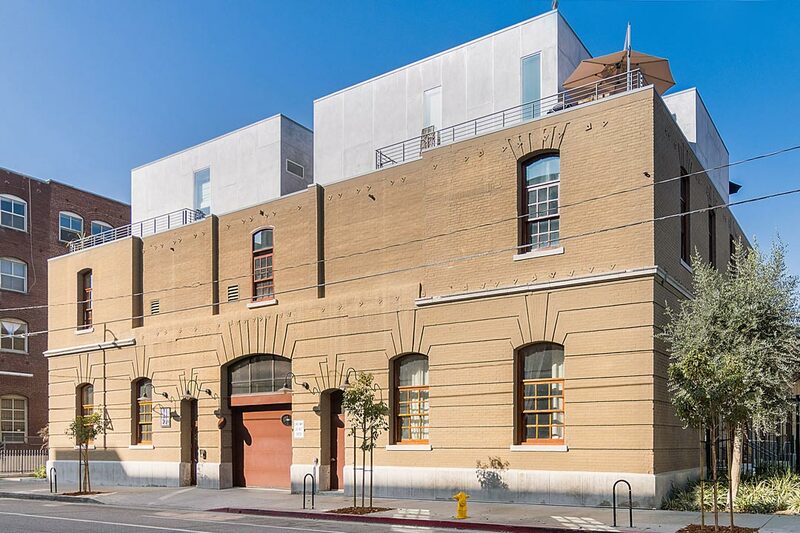 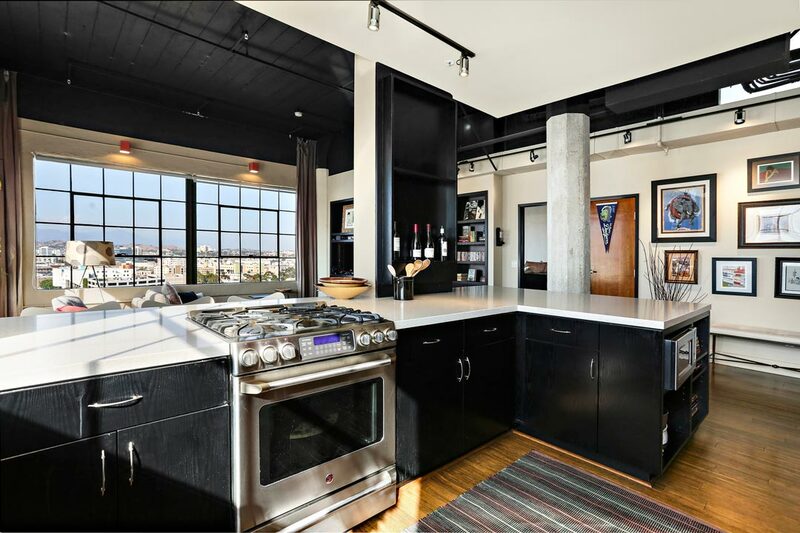 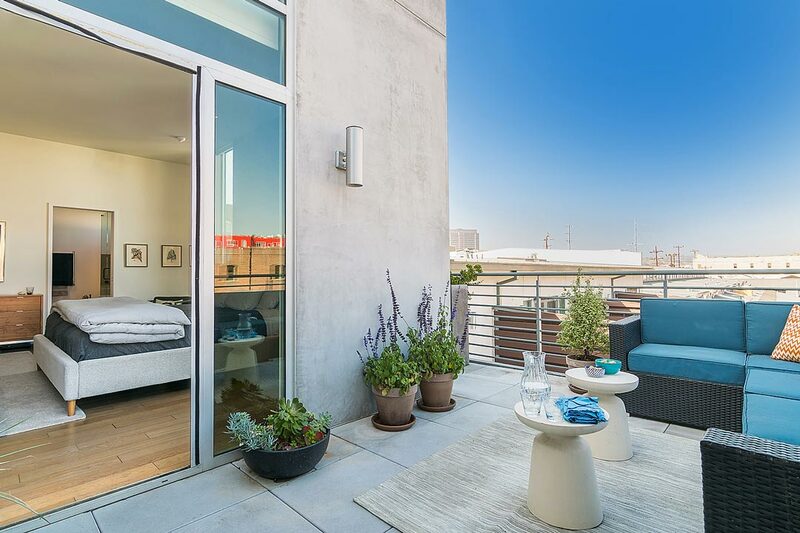 Generous living space, soaring ceilings, massive windows, it’s all here in this penthouse corner unit of the historic Little Tokyo Lofts. 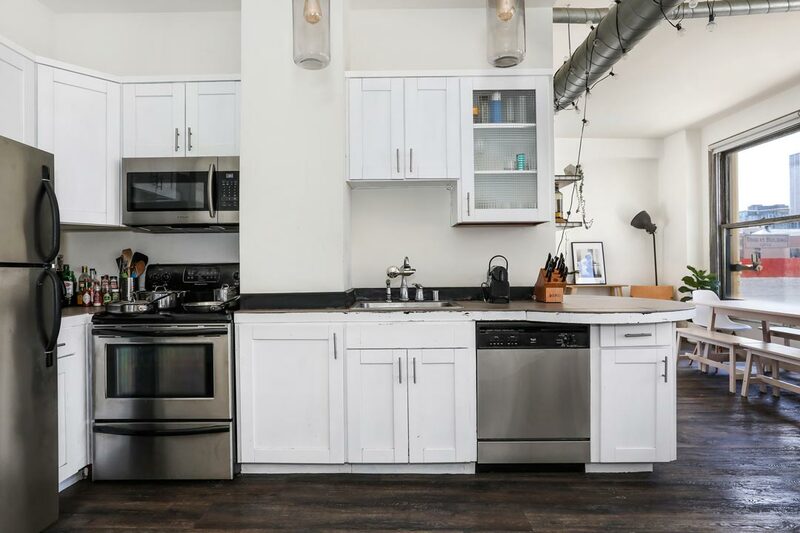 Custom upgrades can be found from the moment you open the front door, starting with the spacious kitchen that features blasts of color and loads of storage. 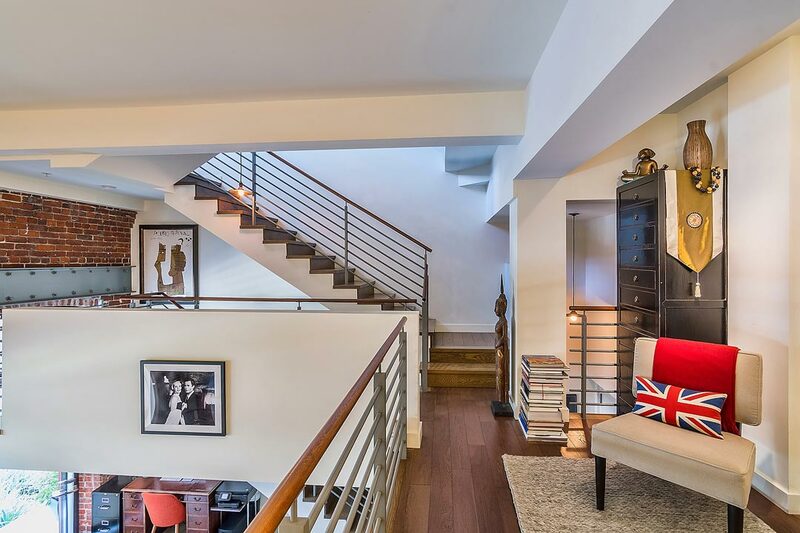 Unique metalwork wraps around one of the vintage columns in this character-rich home, highlighted by gorgeous hardwood floors and a fireplace finished with river pebbles. 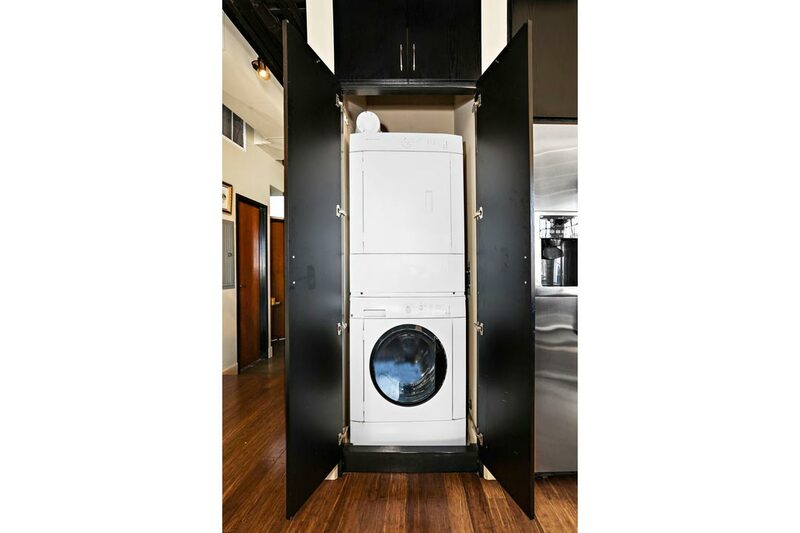 Behind sliding Shoji Screens is a huge walk-in closet for your clothing, gear and more. Daylight hours shower the loft in sunshine, while night brings a curtain of shimmering city lights. 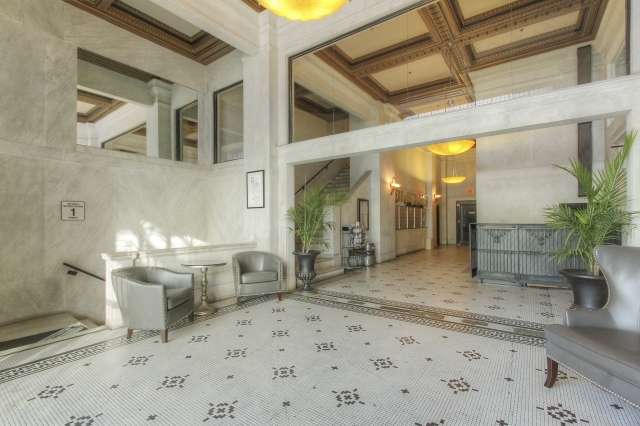 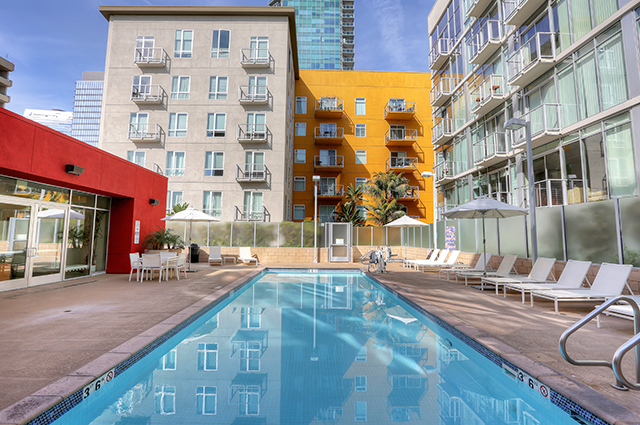 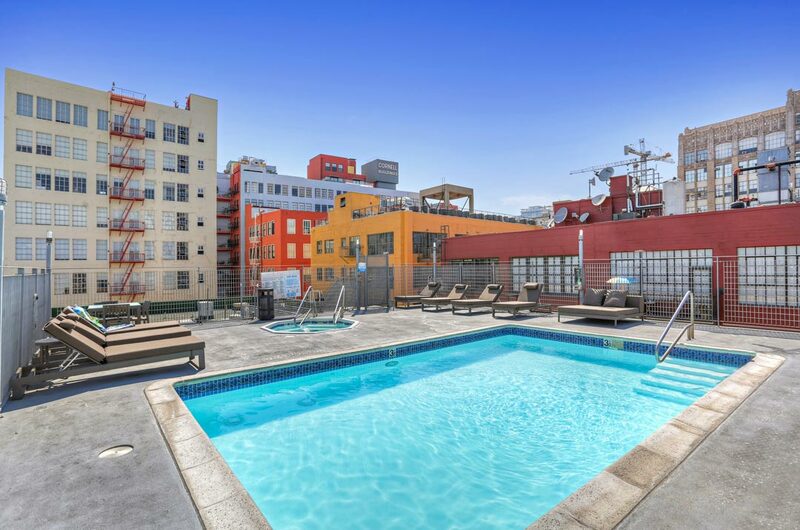 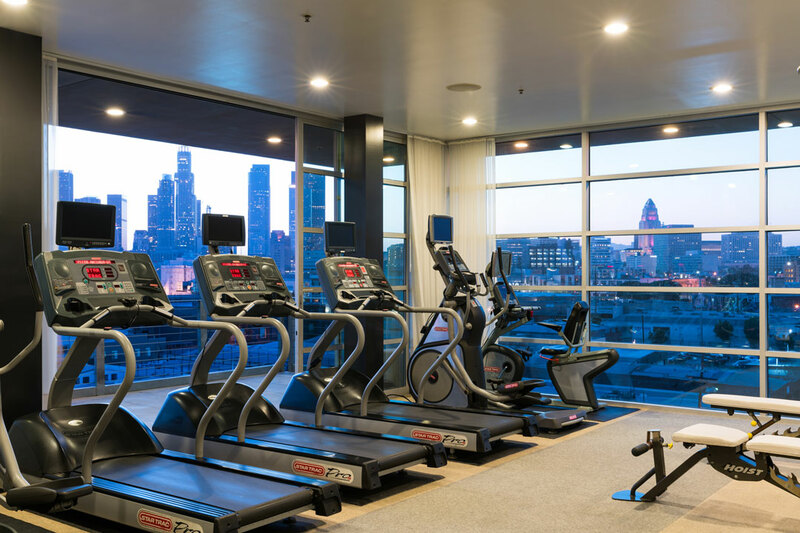 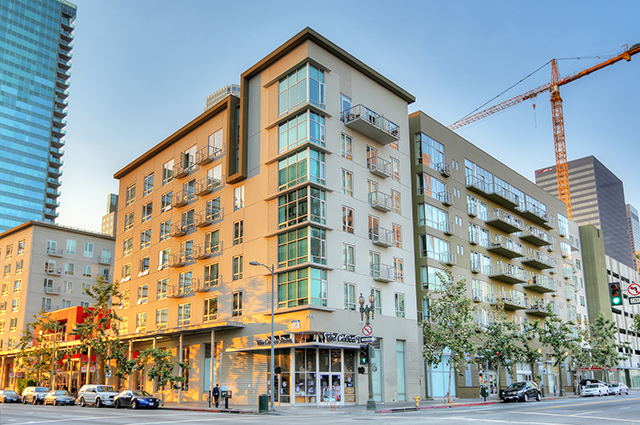 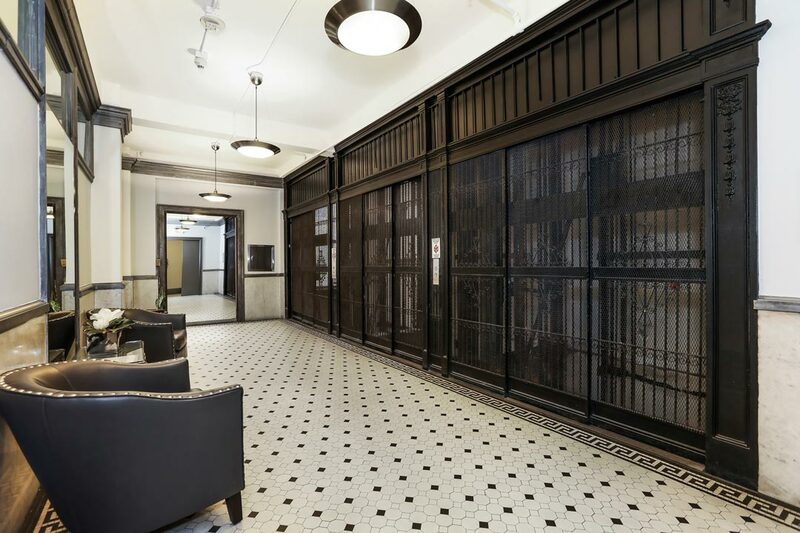 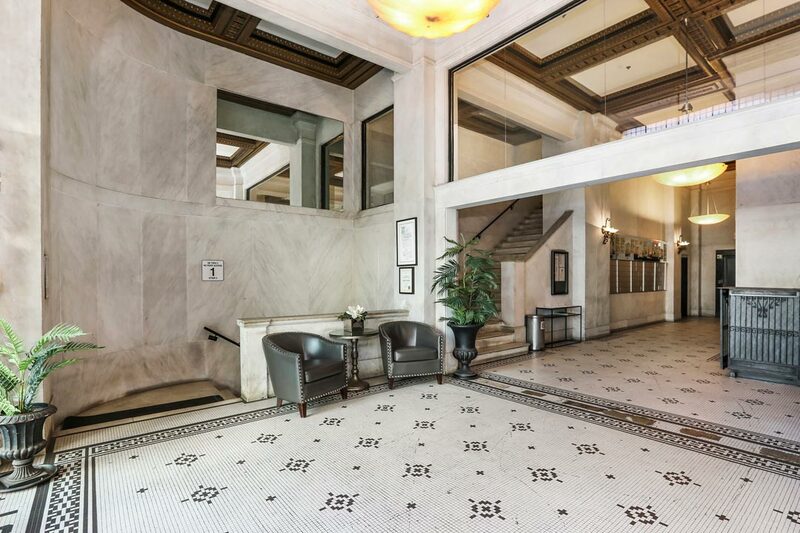 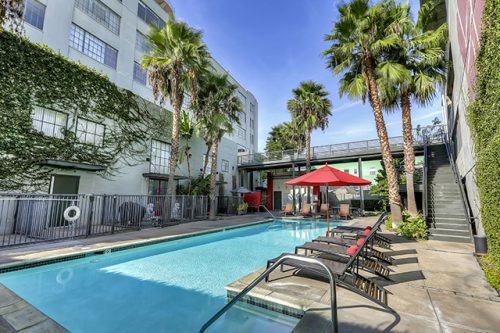 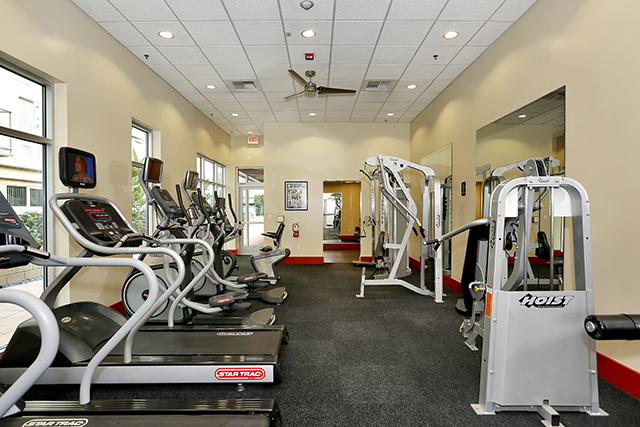 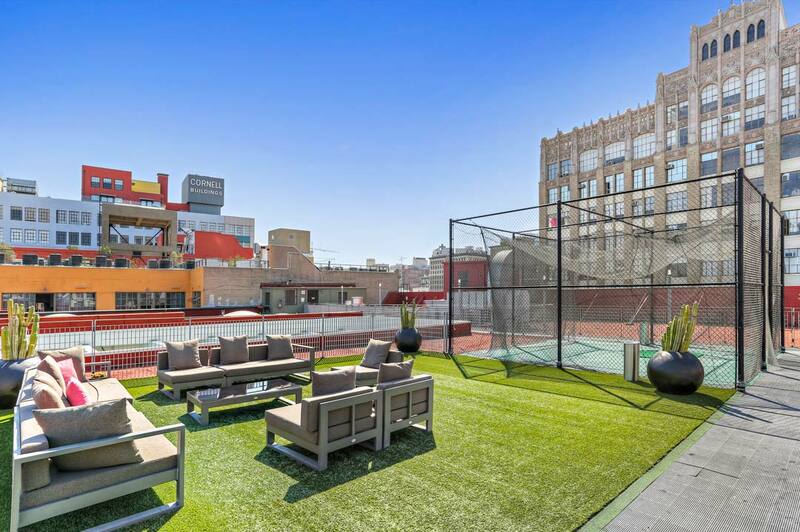 Amenities in this centrally located pet-friendly building include a pool, spa and rec room. 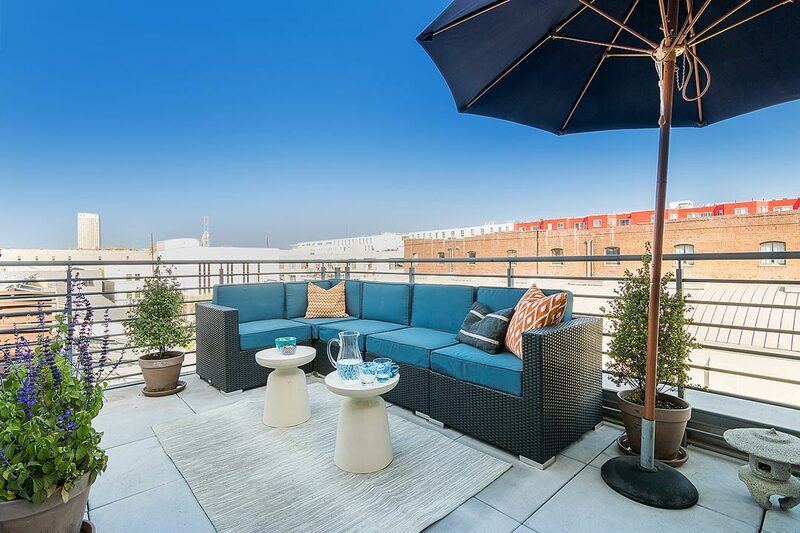 The unit includes two parking spaces and there is plenty of additional parking for your guests in the secure, gated garage.